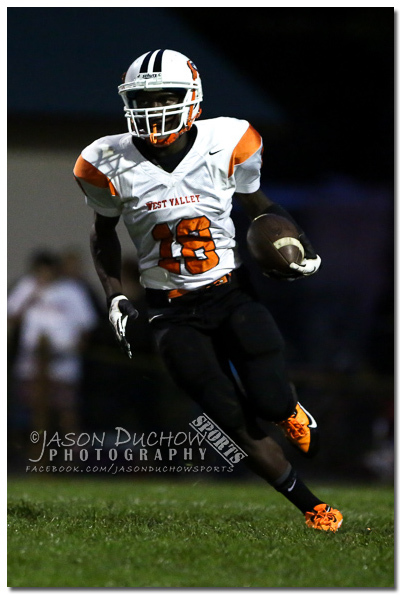 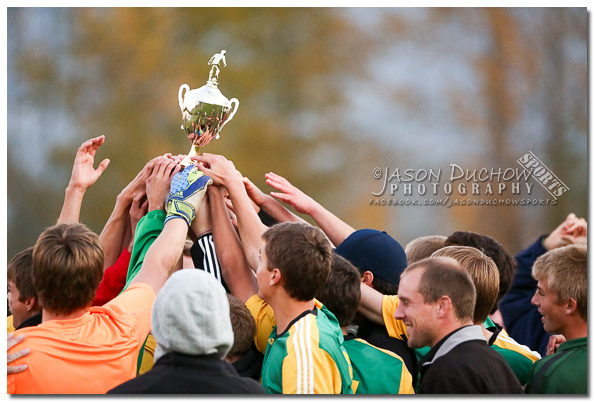 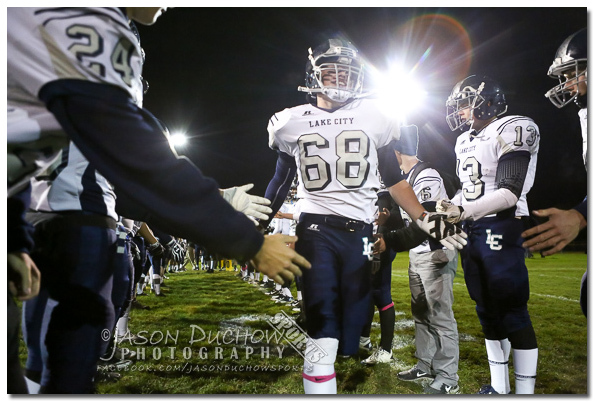 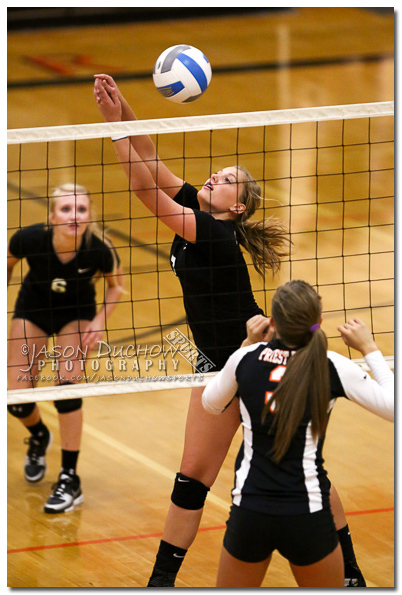 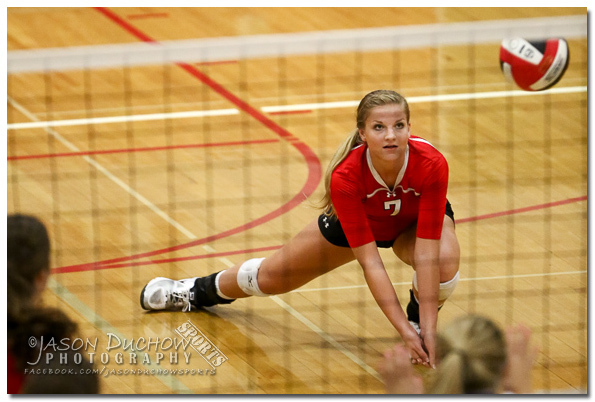 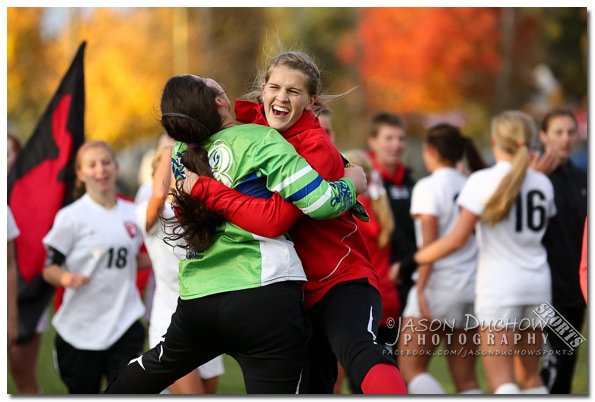 A sports photography recap of events covered by Jason Duchow Photography in the past week. 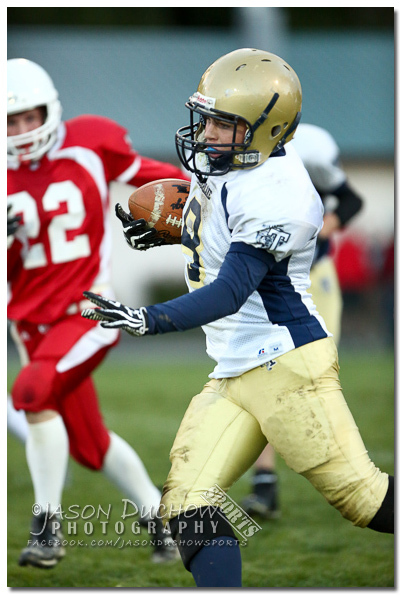 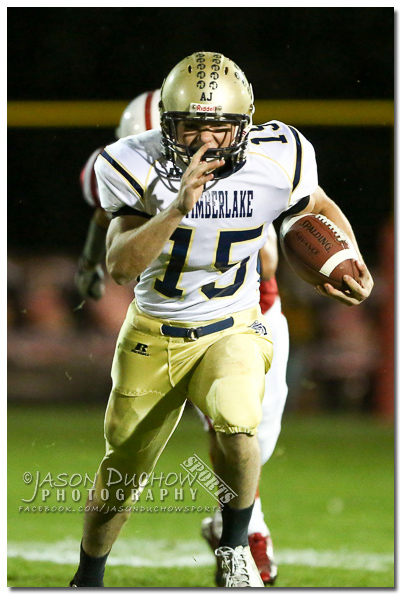 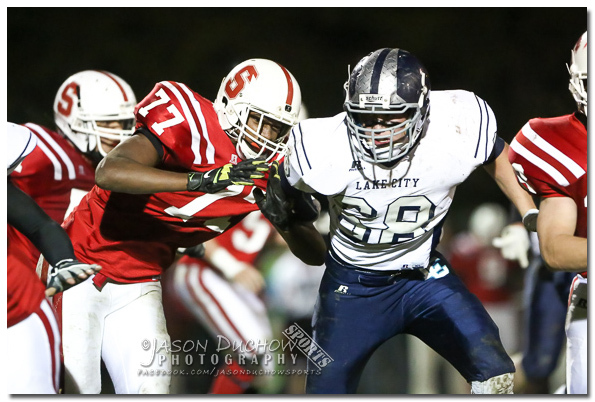 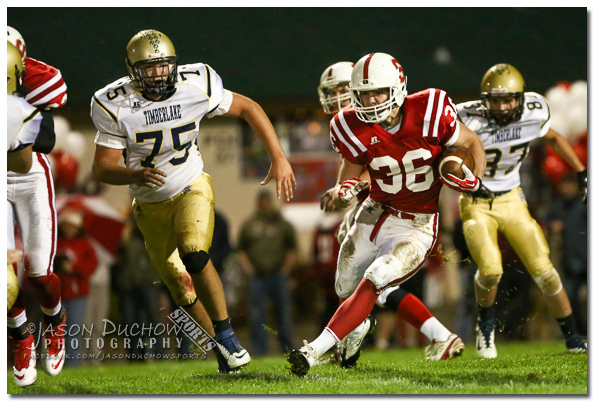 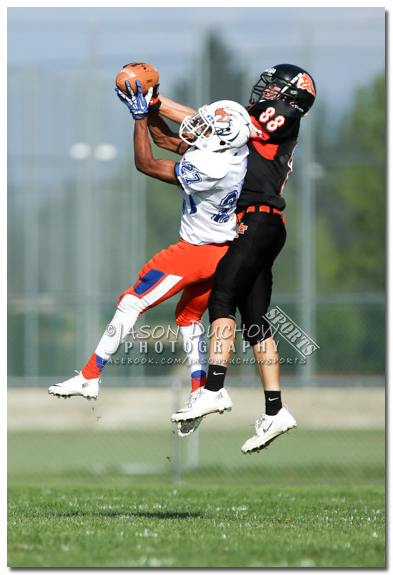 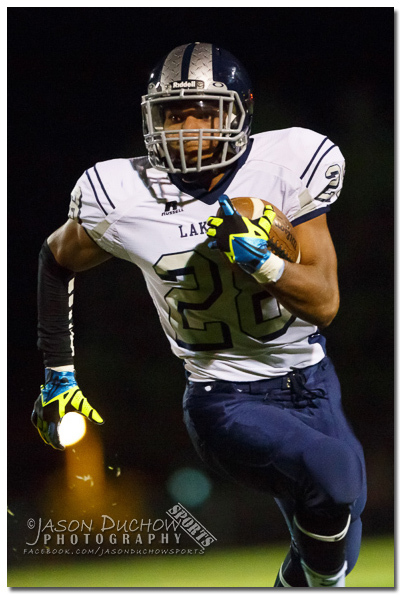 Click the header for each game for a link to view the full gallery and order prints. 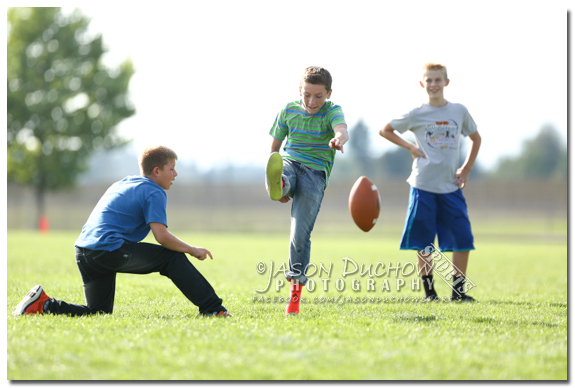 Jason Duchow Photography is located in Oldtown, Idaho and does on location portraiture throughout Northern Idaho and Eastern Washington. 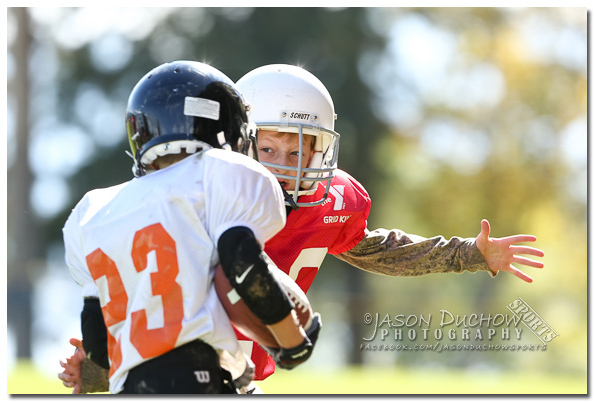 Jason specializes in environmental portrait photography often with the use of dramatic lighting techniques and is also known for his freelance sports photography work for www.idahosports.com, The Coeur d’Alene Press, The Bonner County Daily Bee, Priest River Times, Newport Miner, Sandpoint Living Local and a handful of other newspapers and publications. 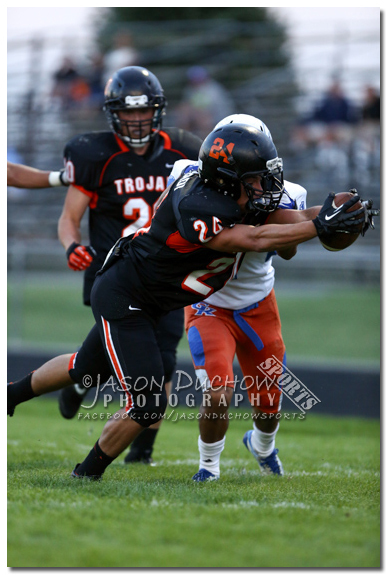 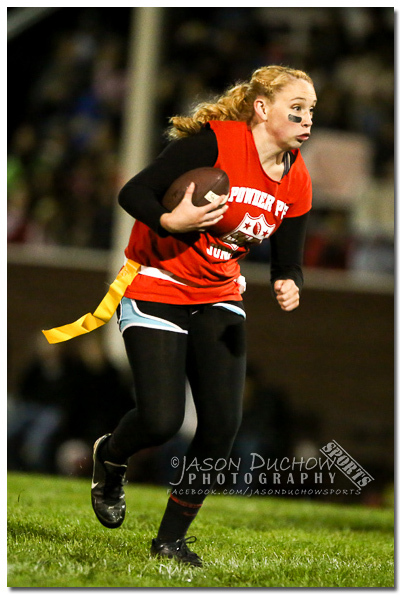 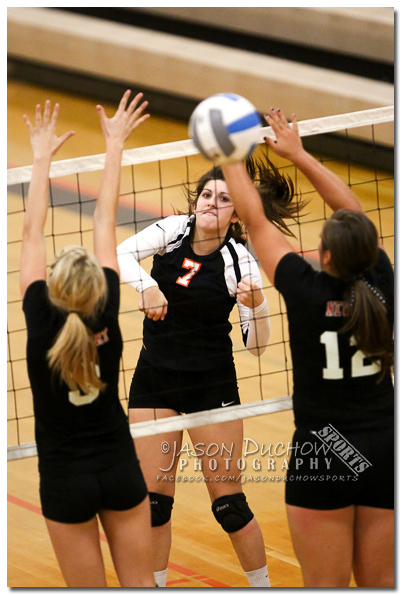 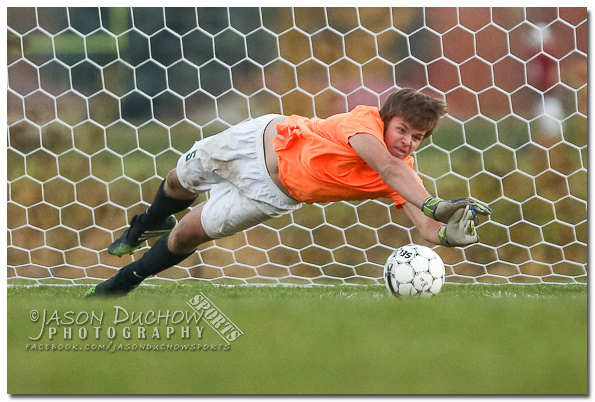 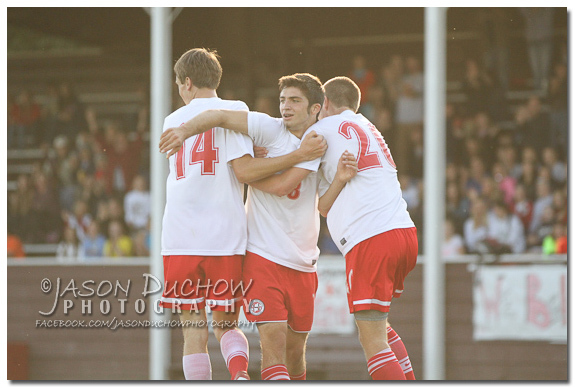 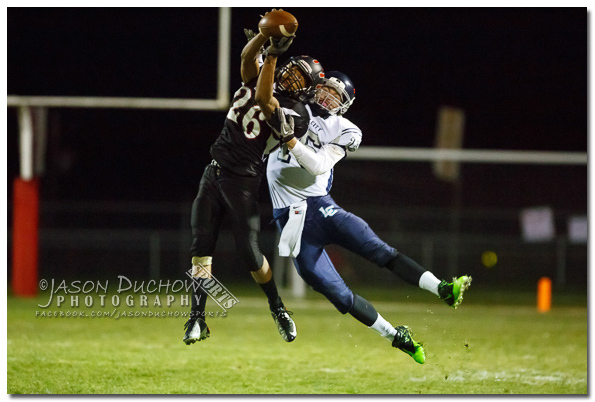 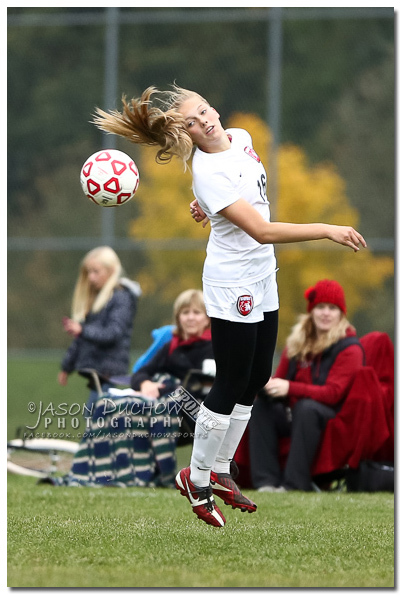 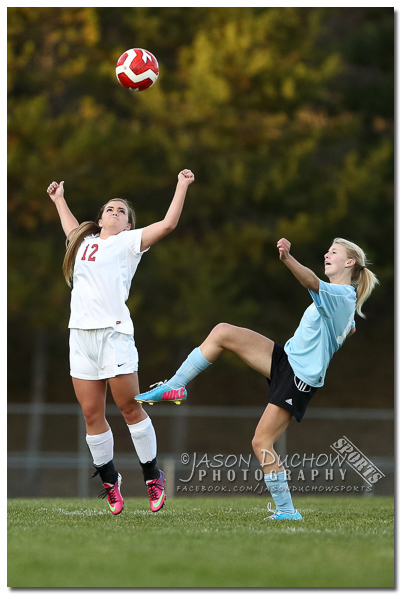 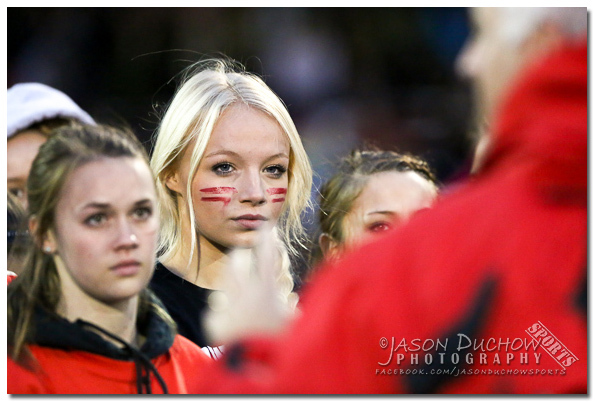 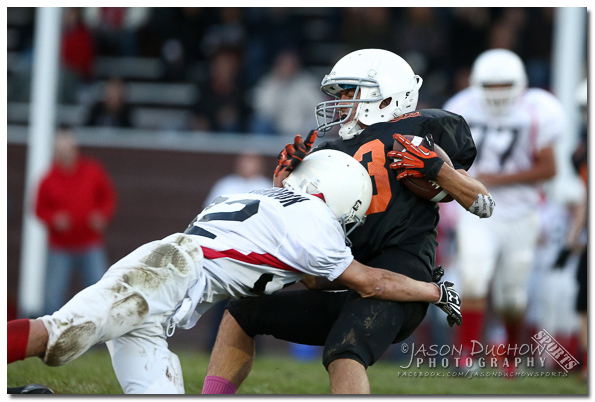 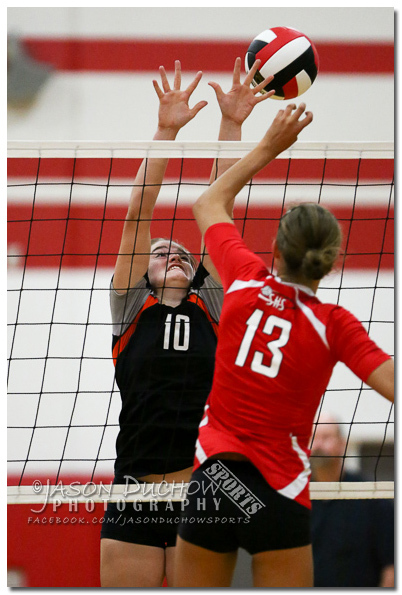 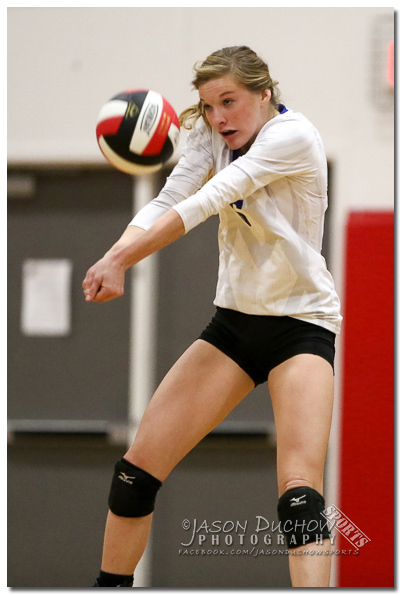 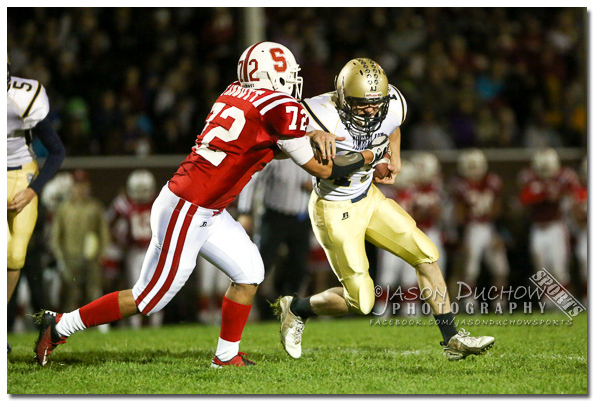 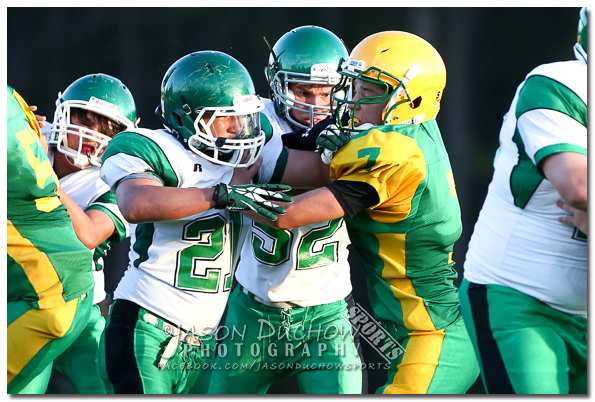 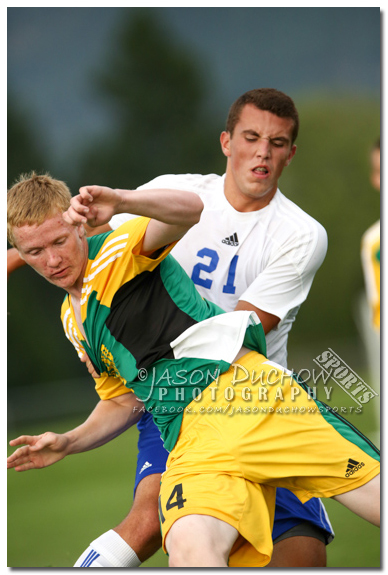 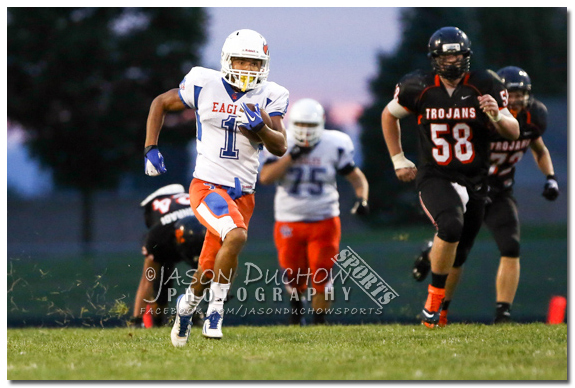 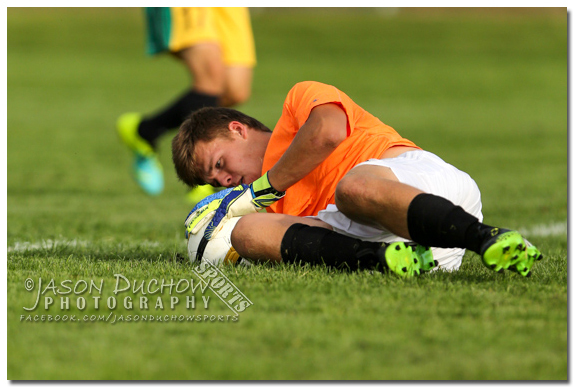 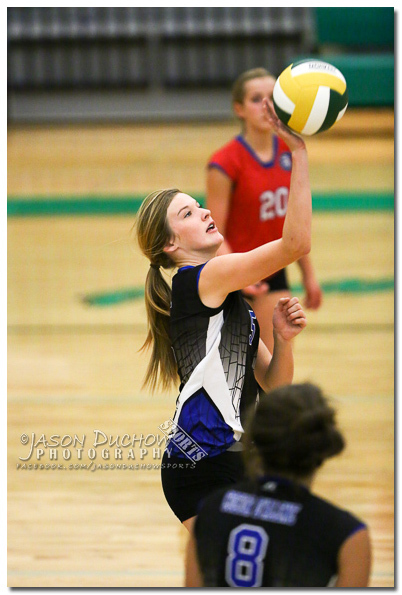 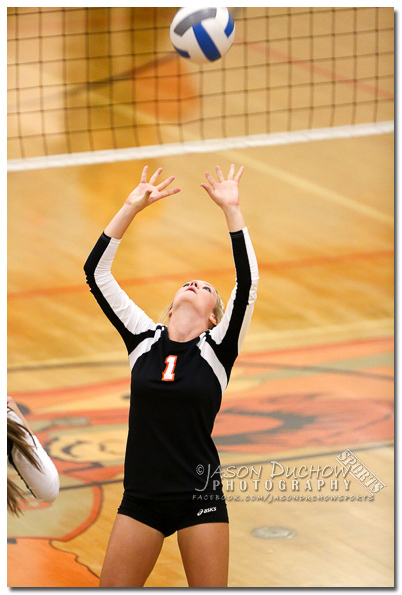 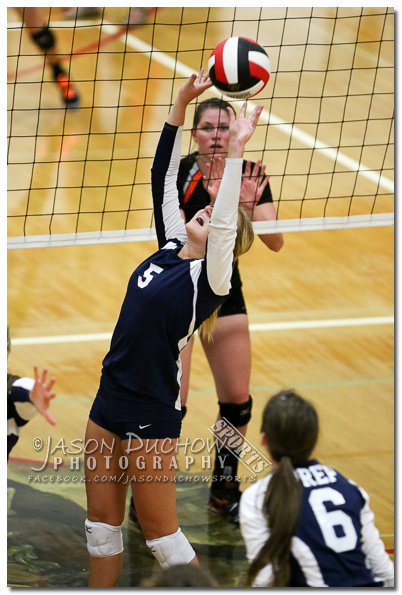 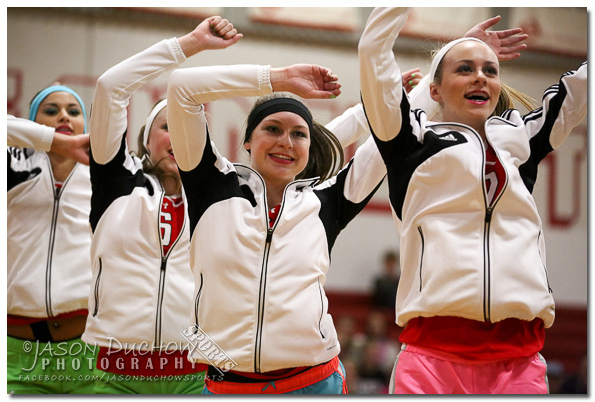 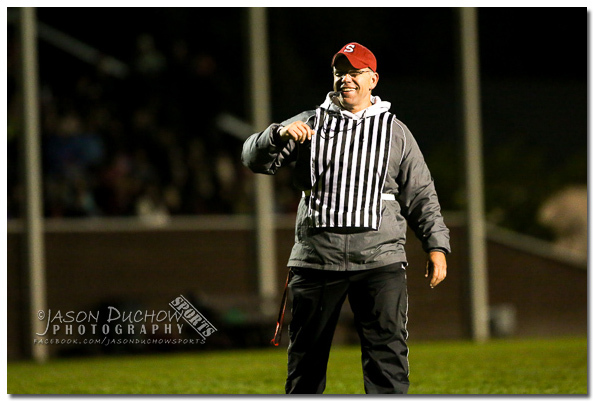 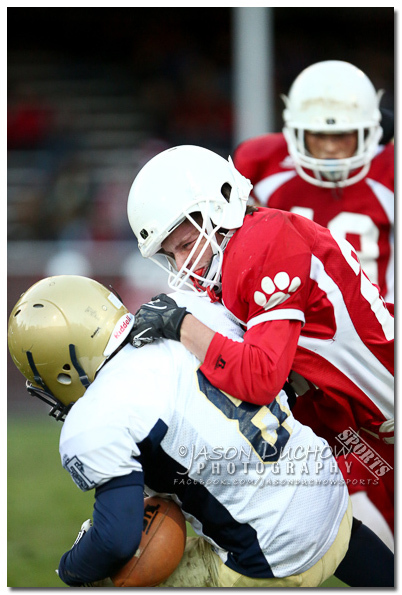 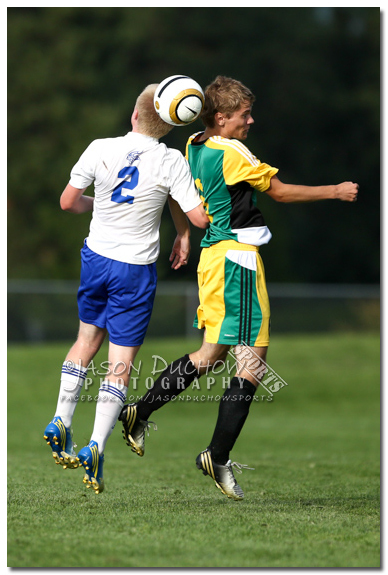 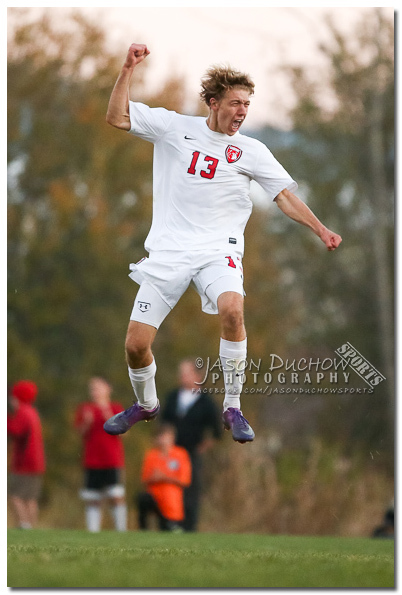 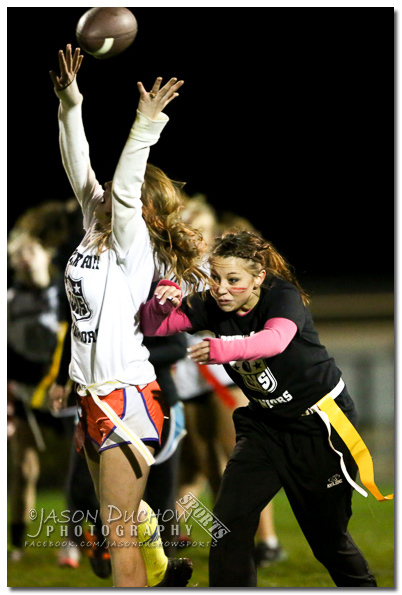 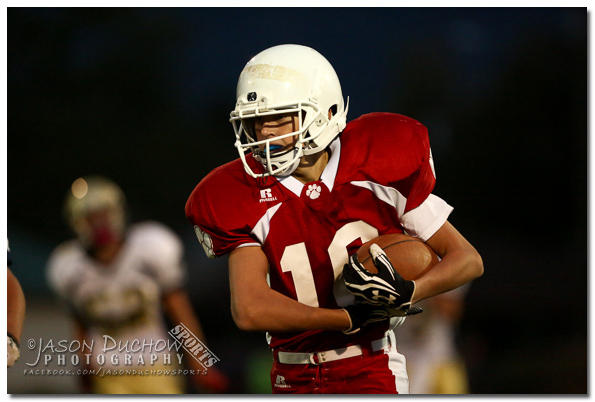 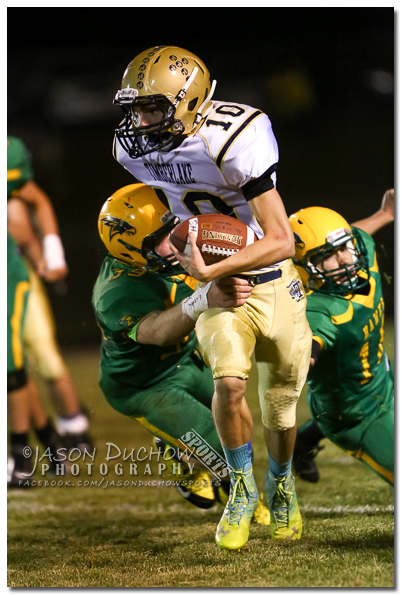 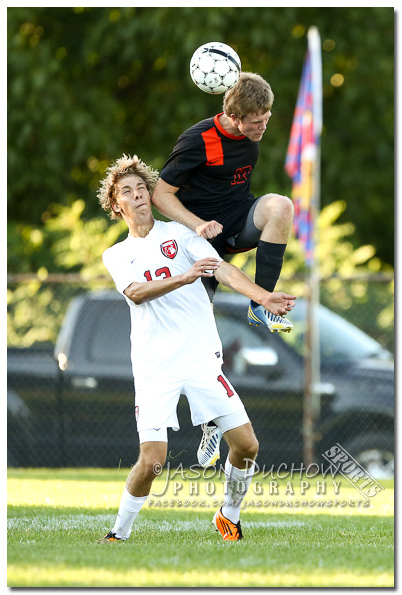 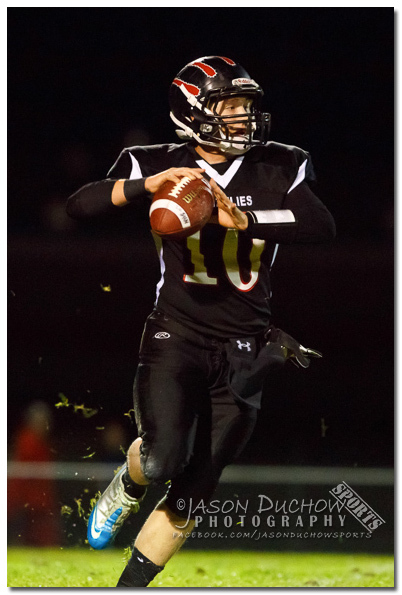 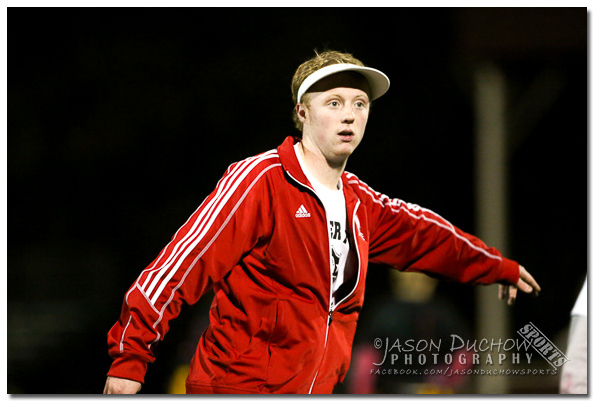 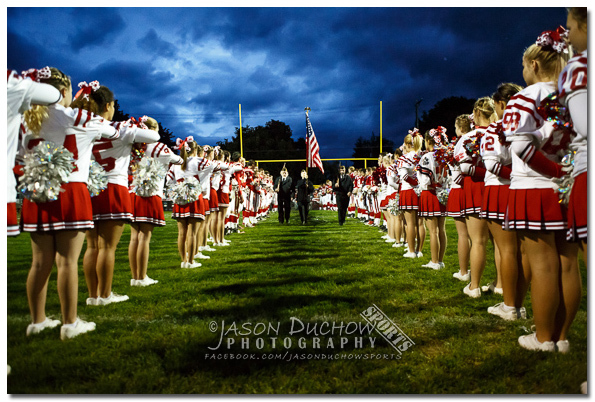 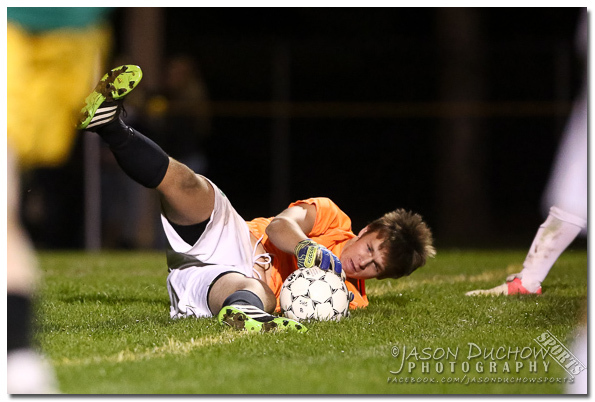 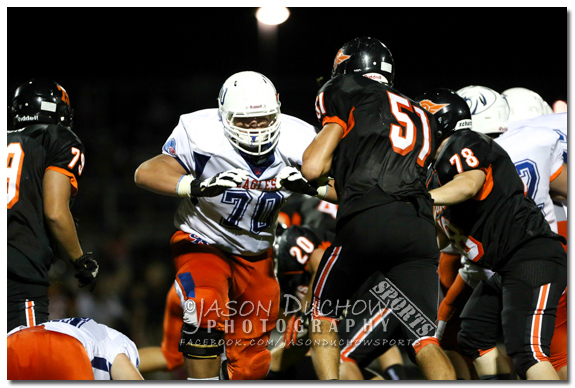 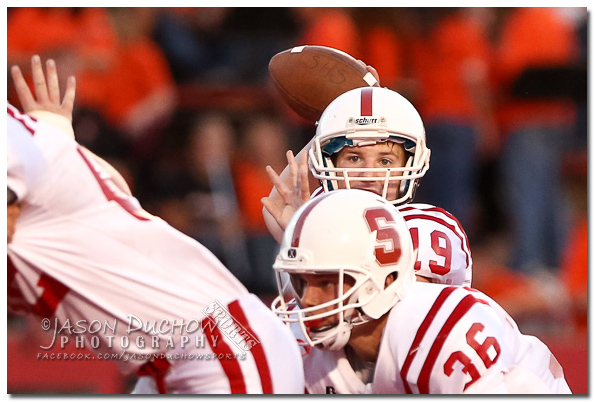 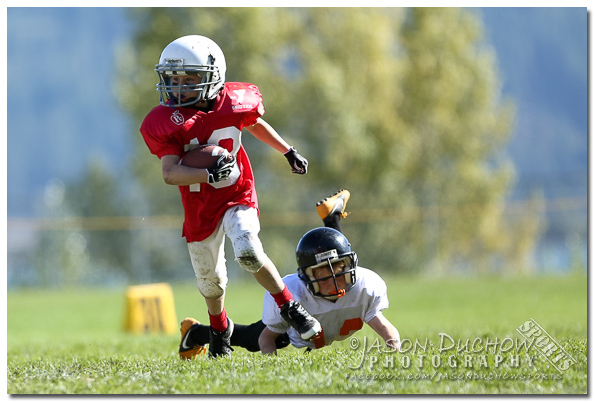 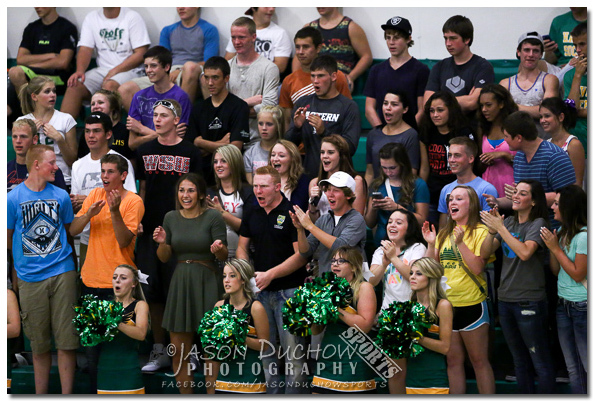 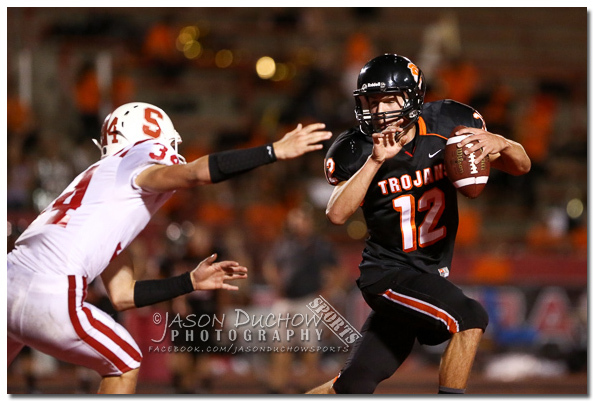 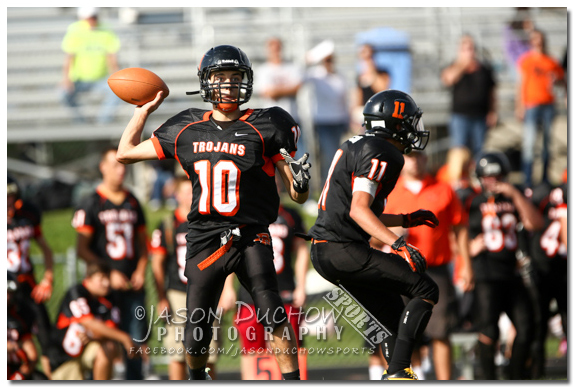 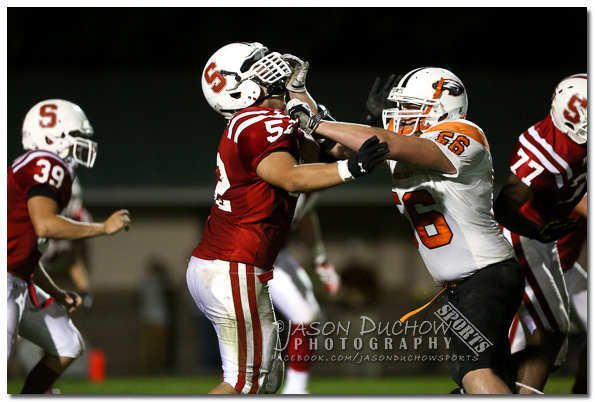 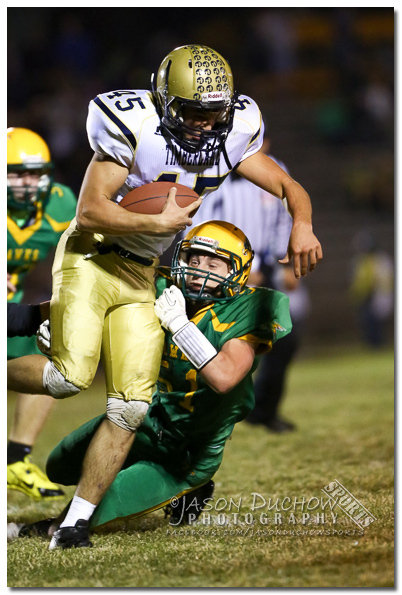 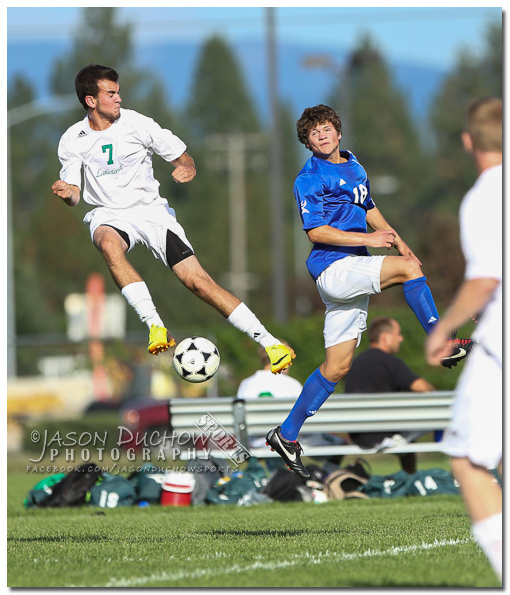 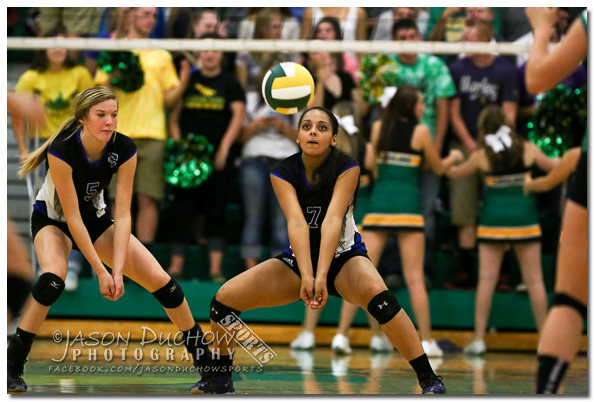 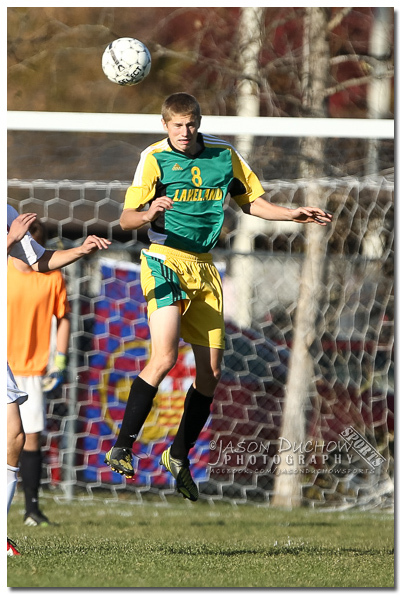 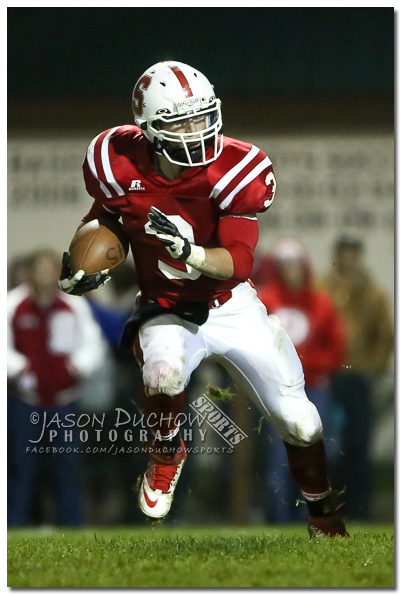 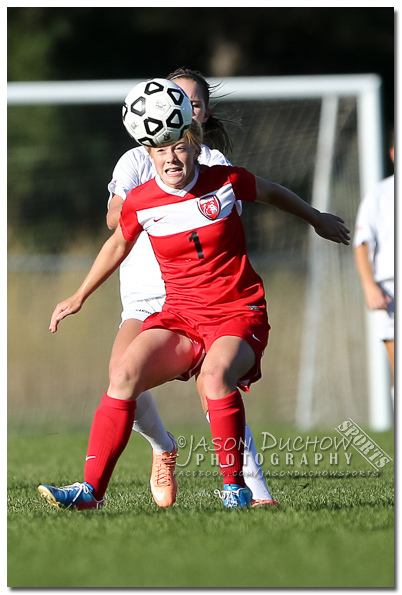 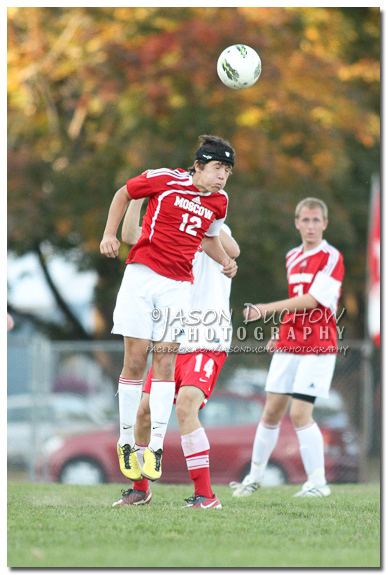 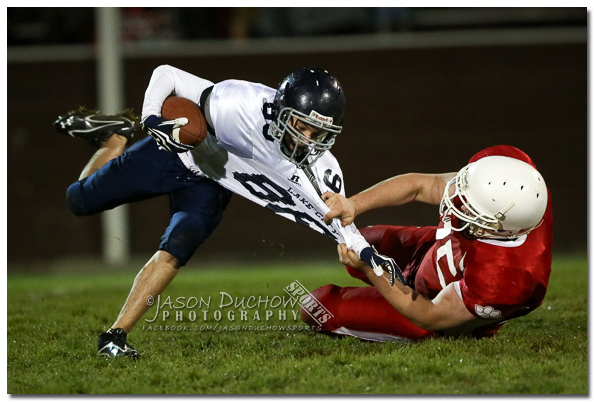 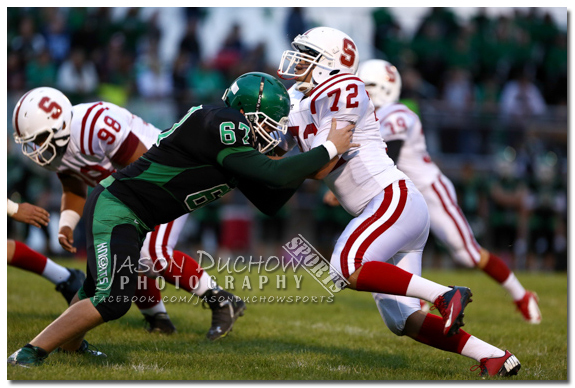 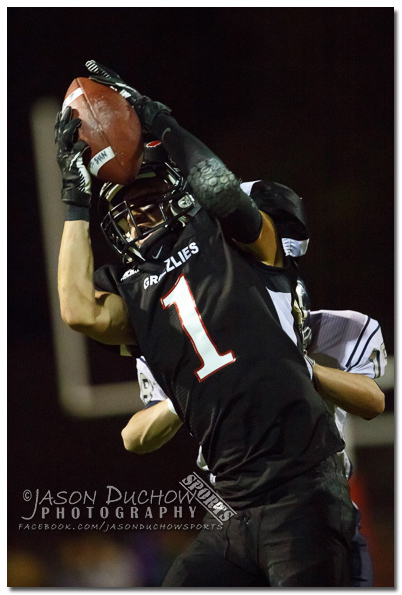 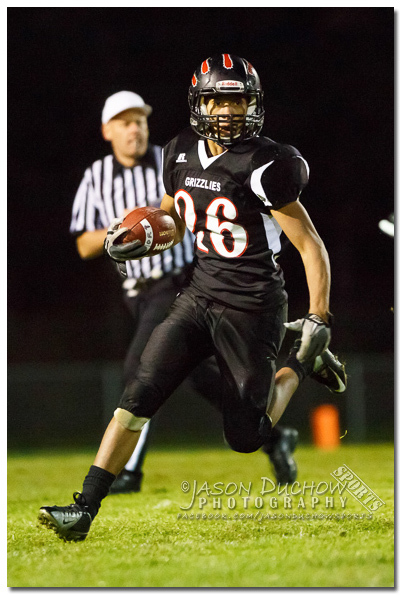 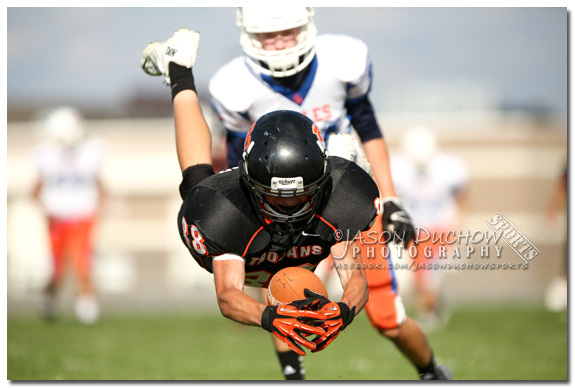 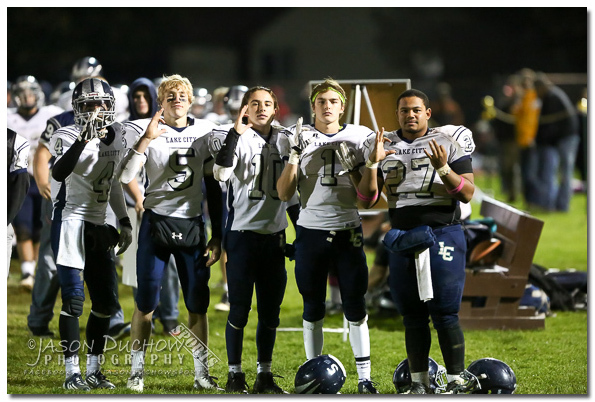 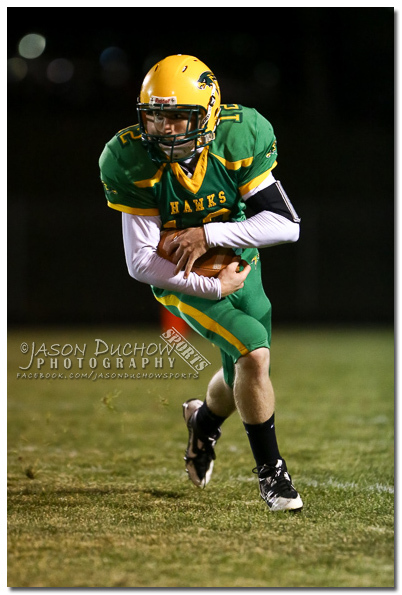 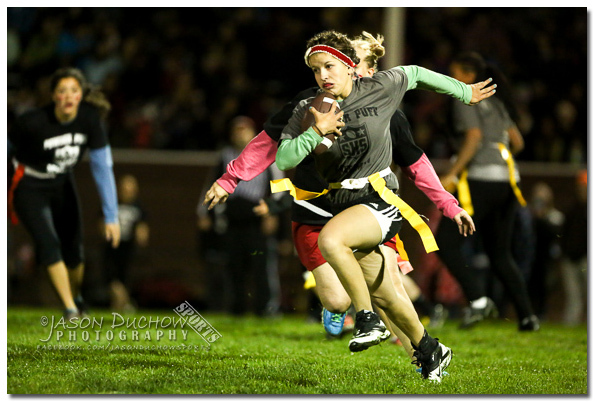 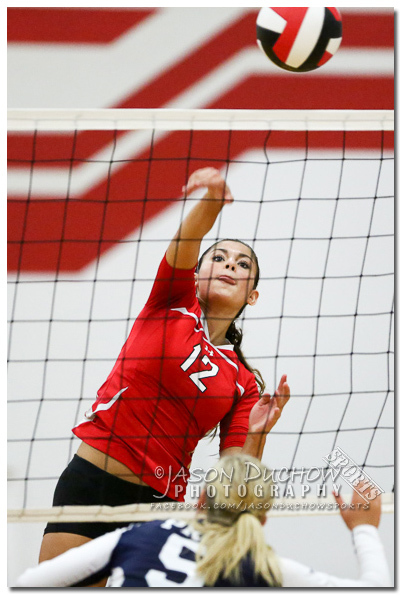 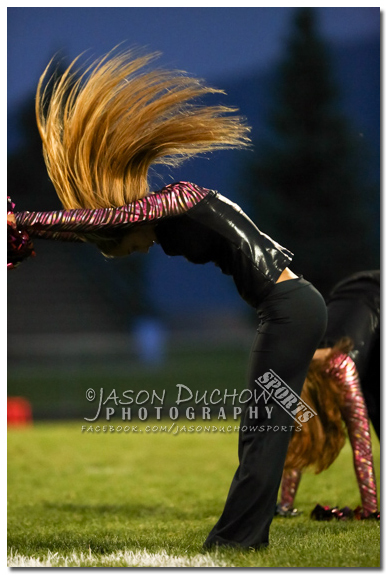 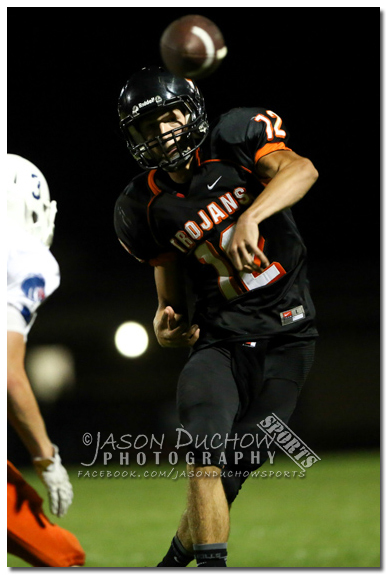 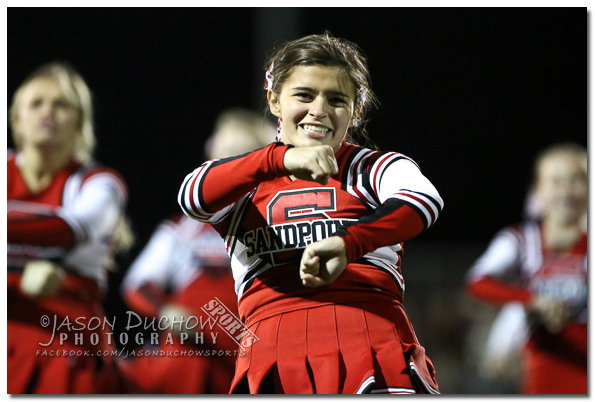 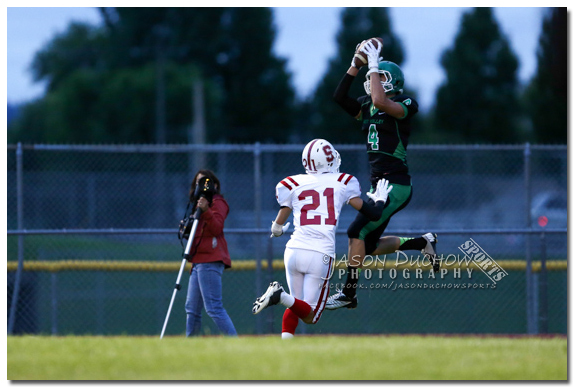 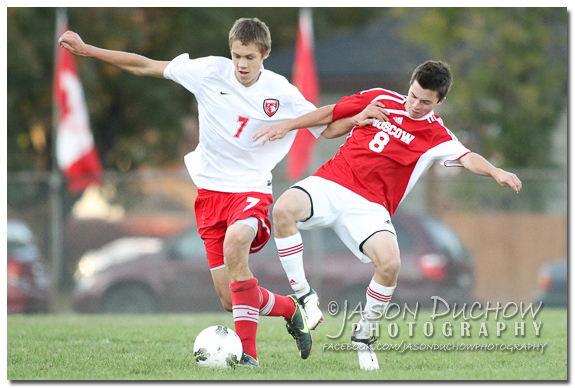 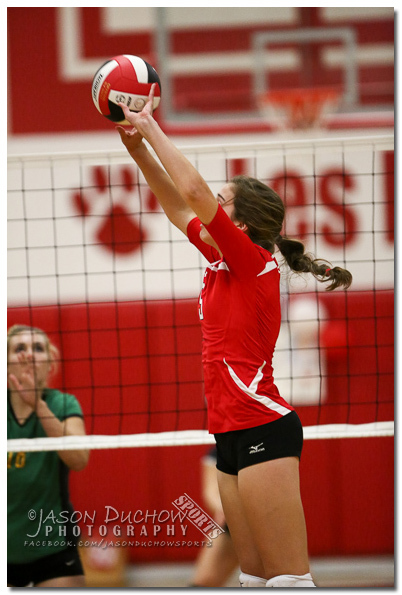 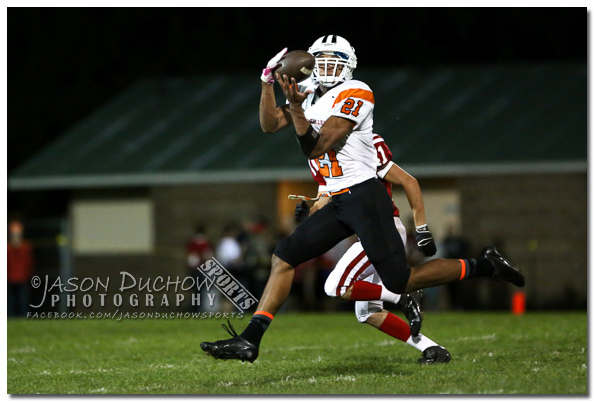 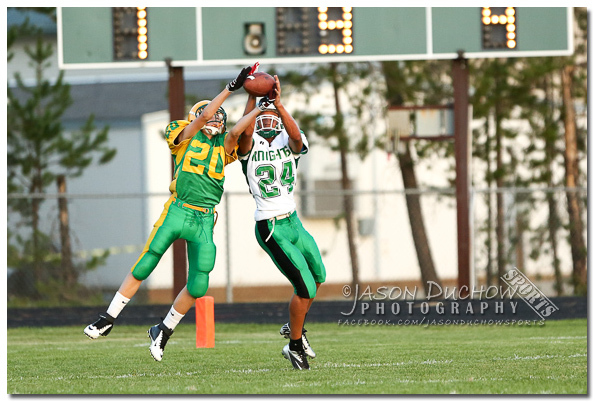 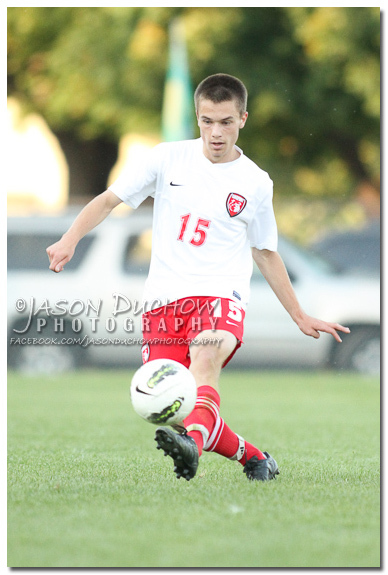 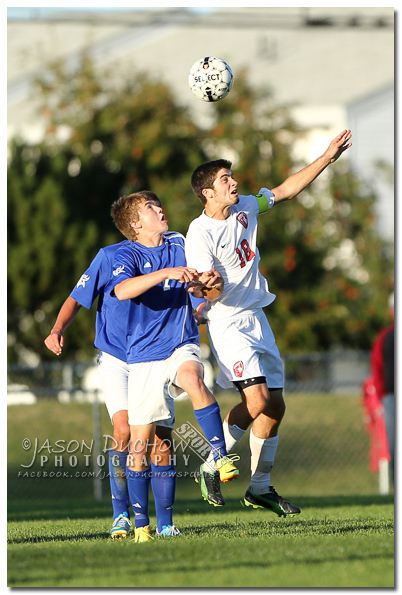 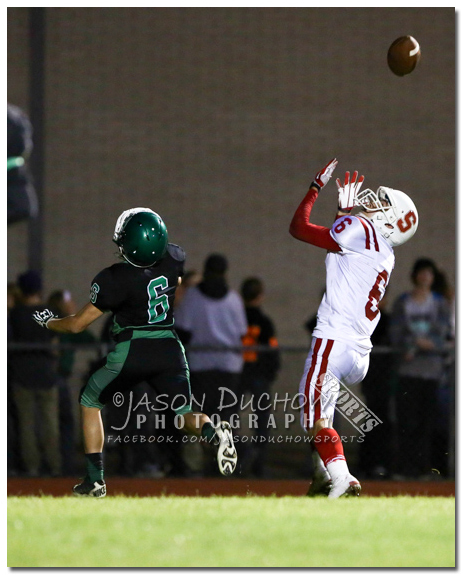 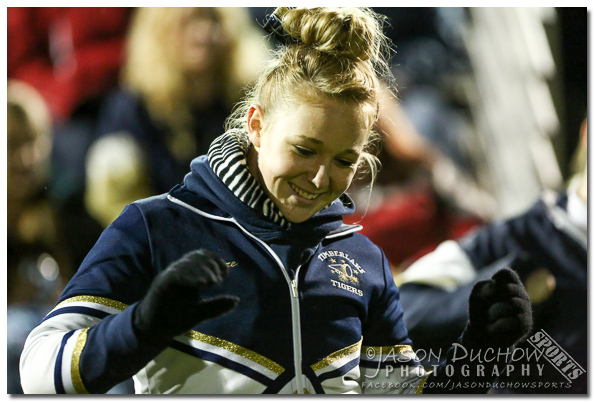 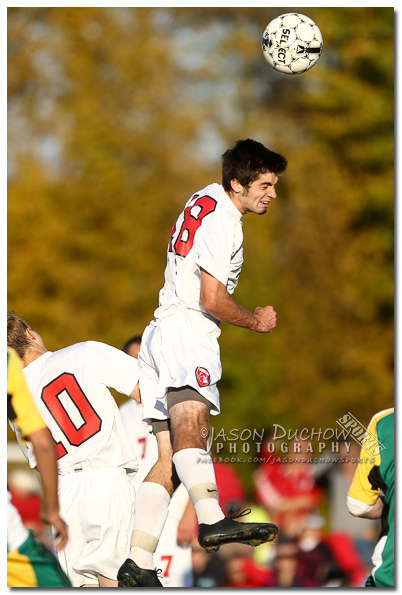 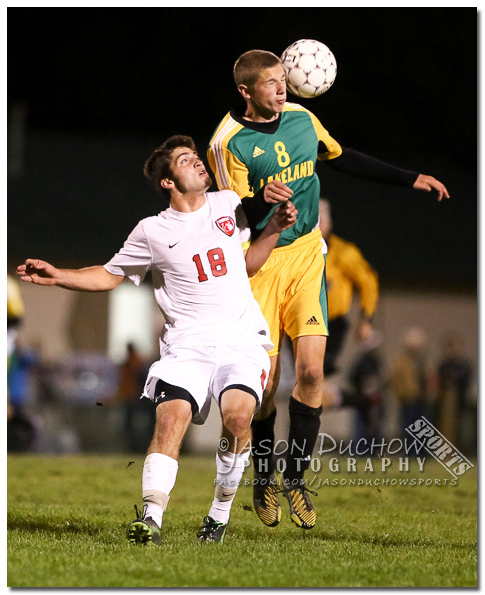 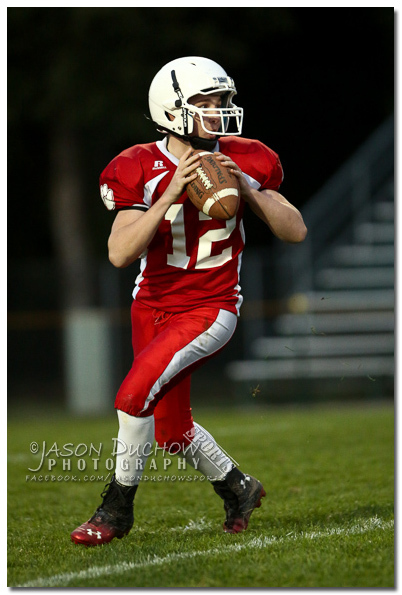 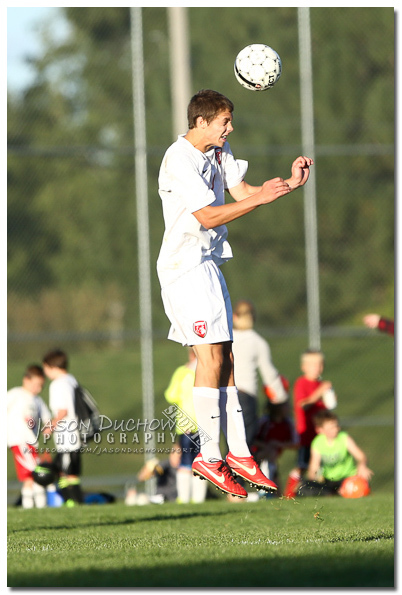 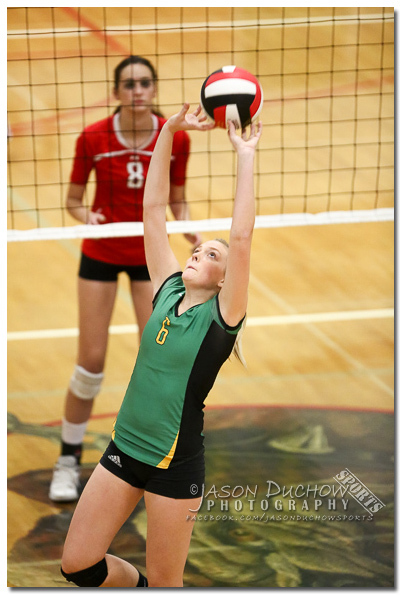 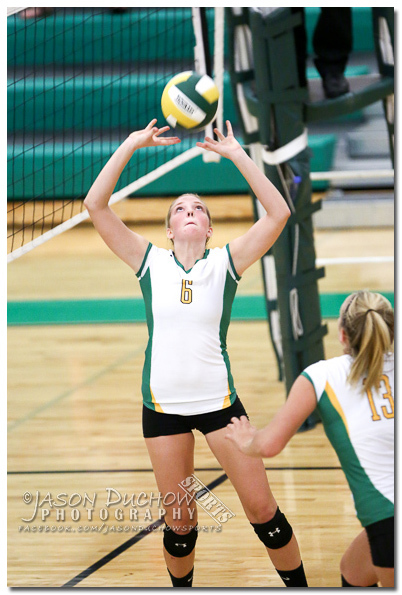 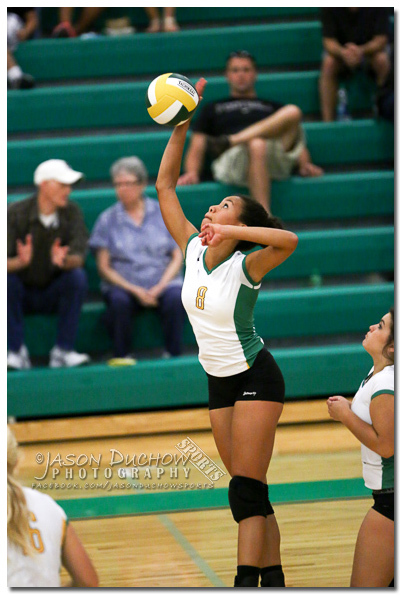 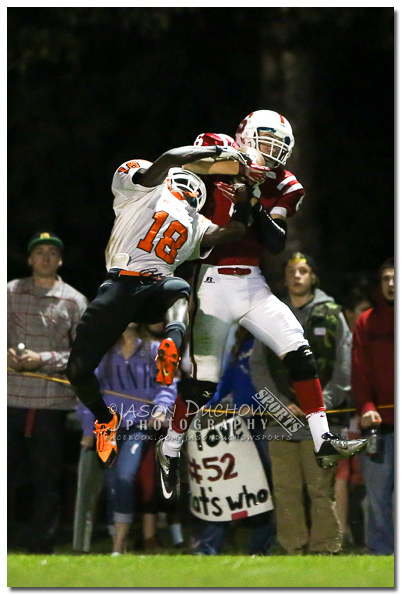 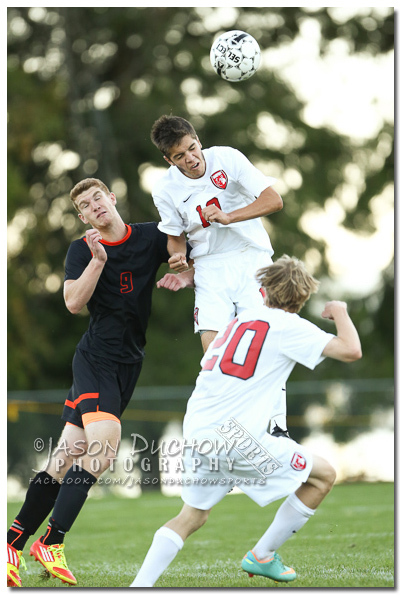 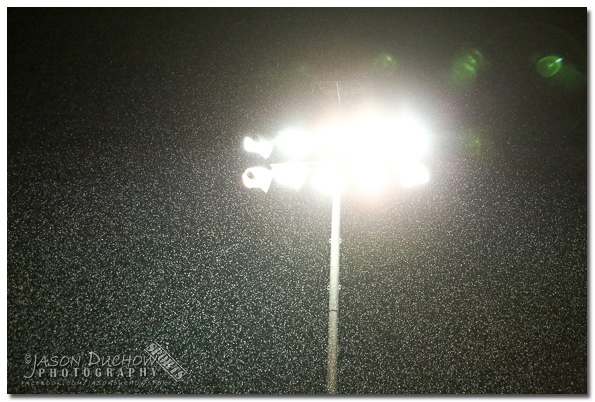 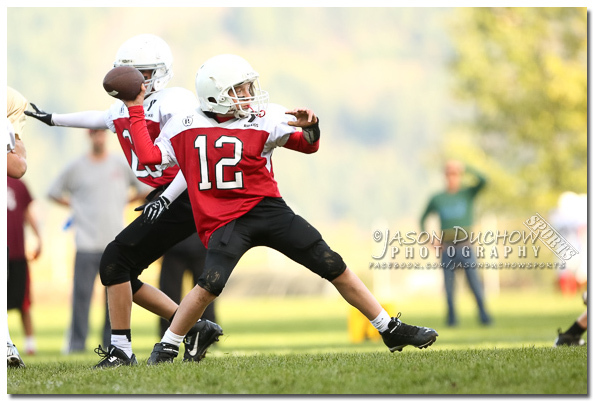 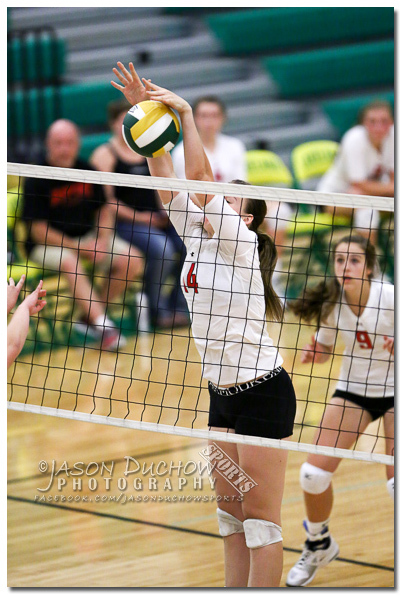 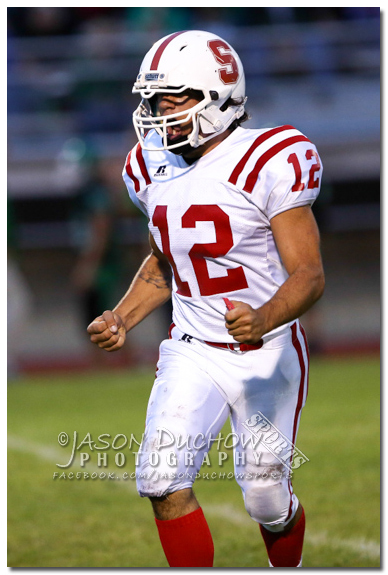 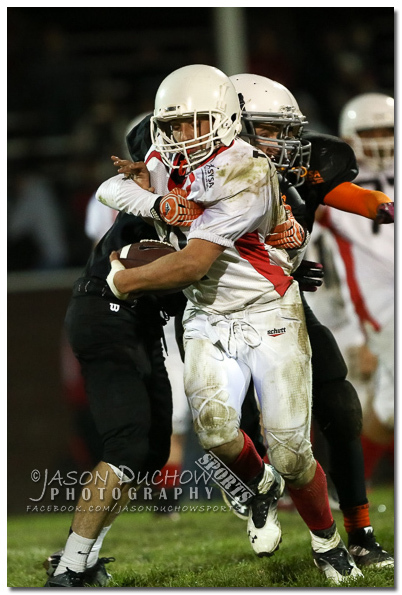 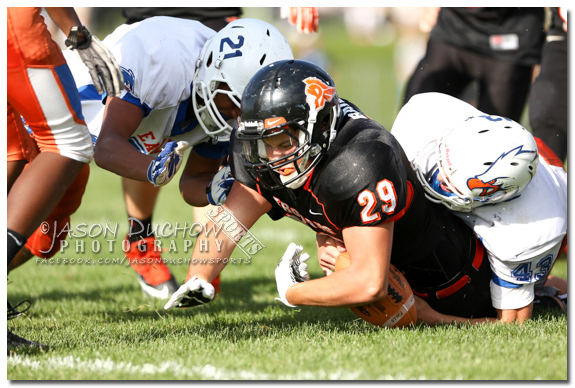 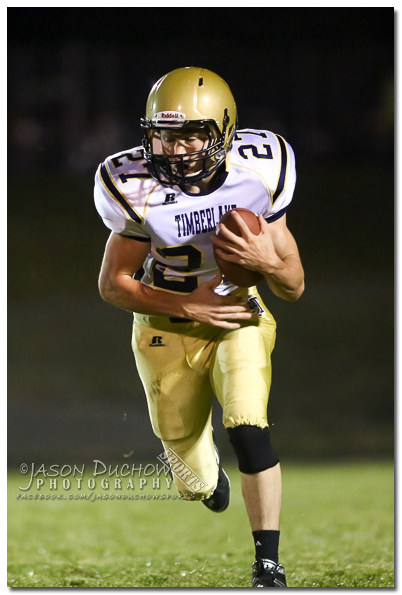 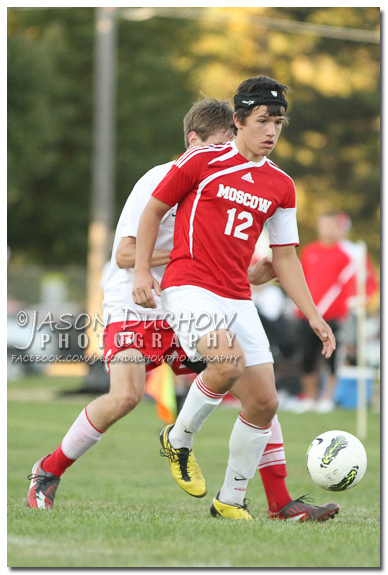 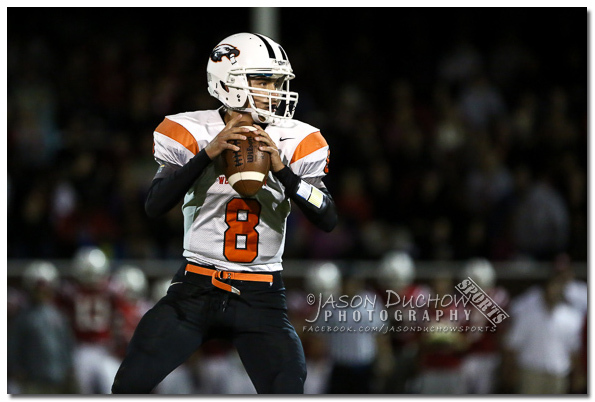 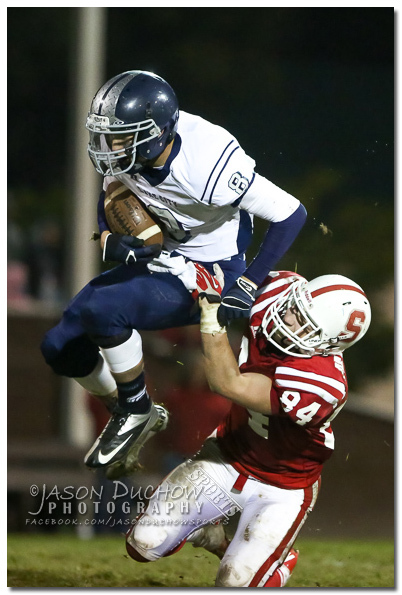 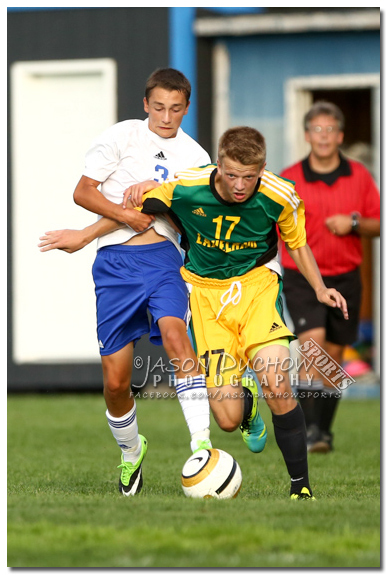 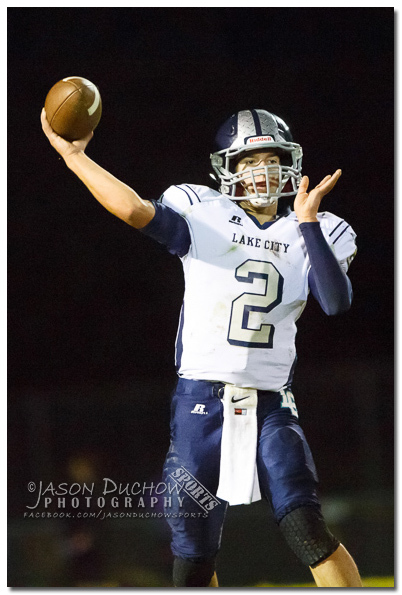 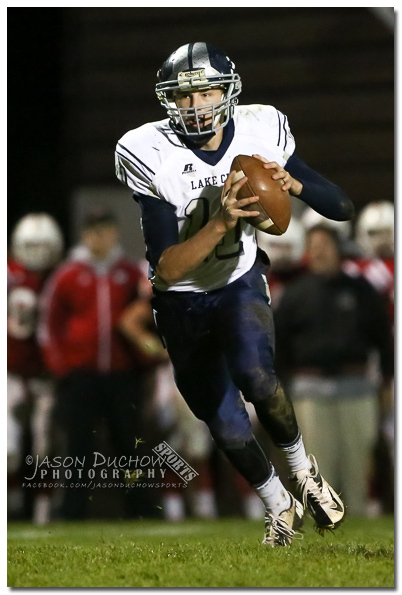 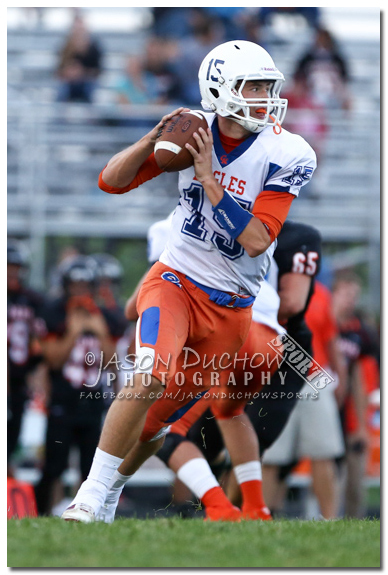 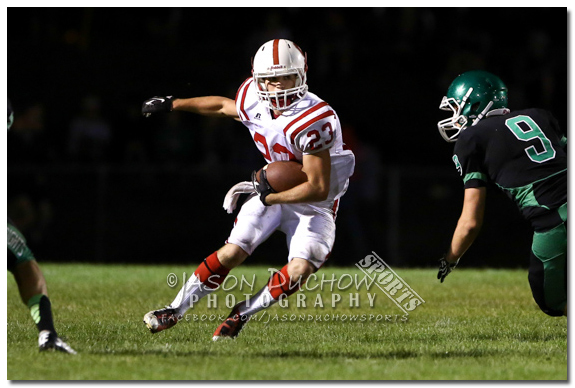 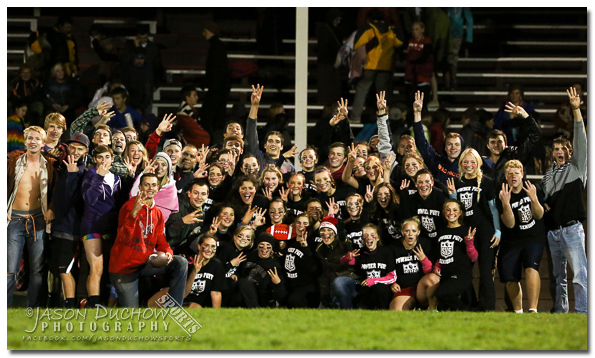 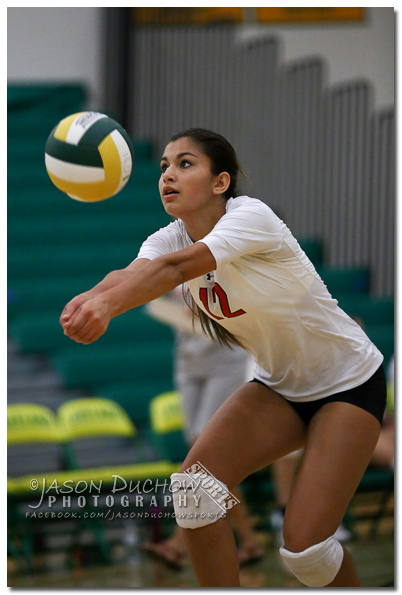 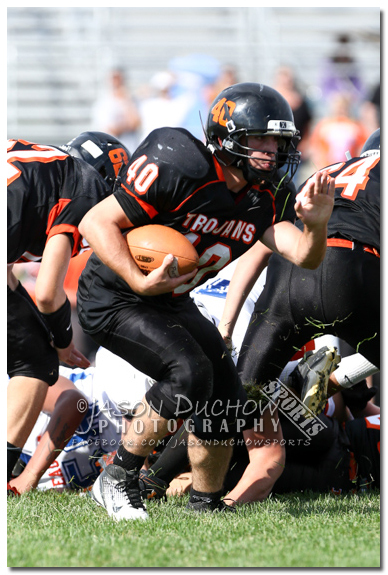 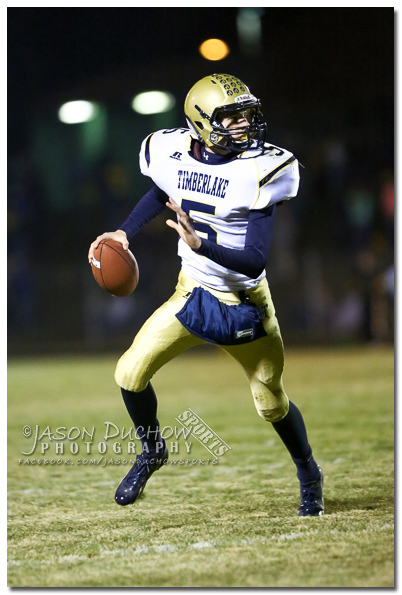 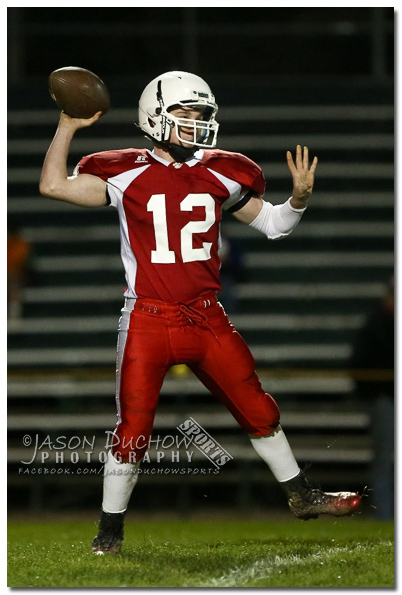 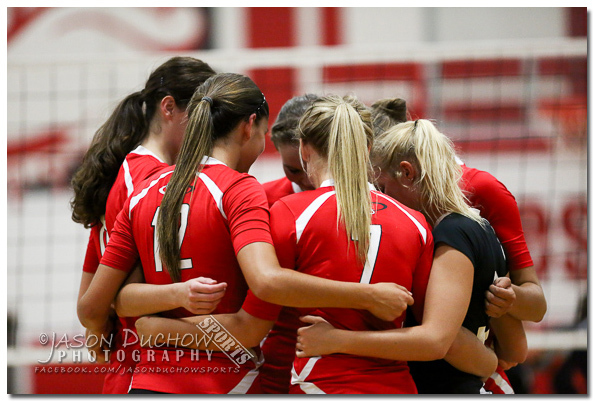 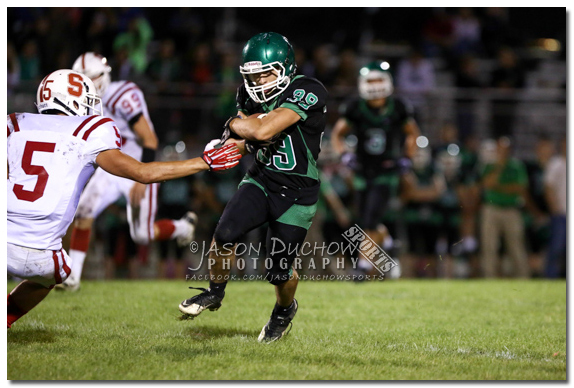 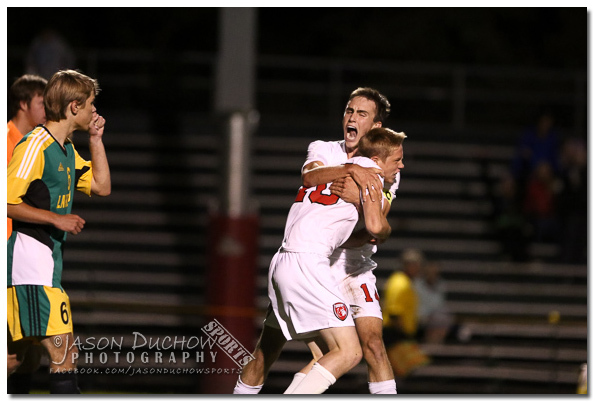 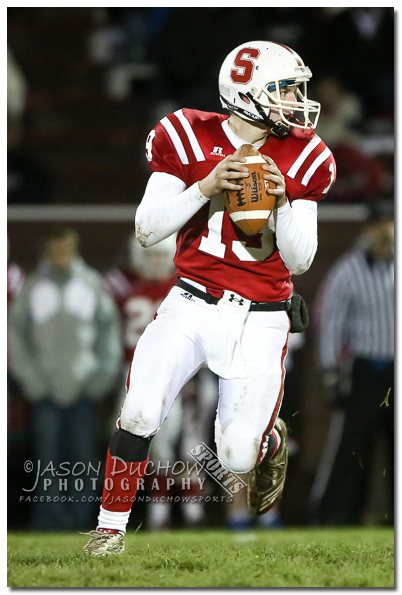 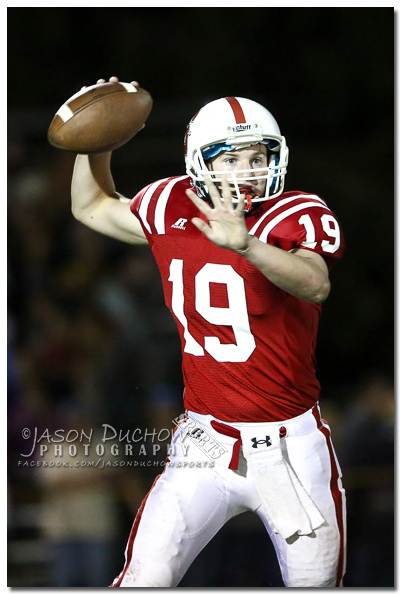 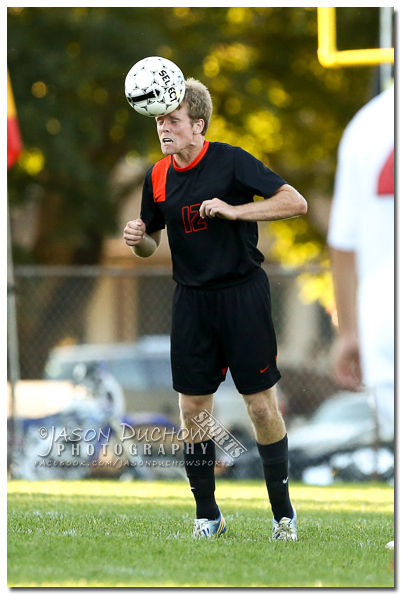 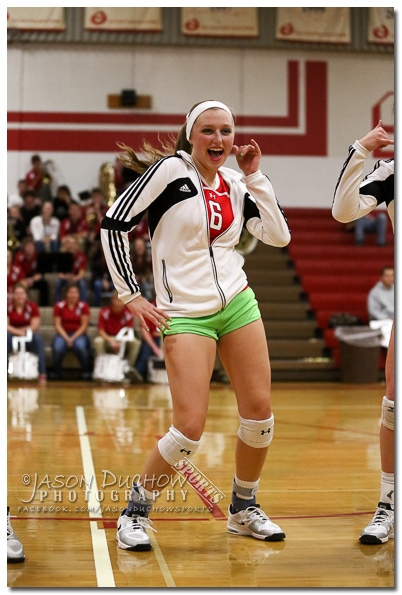 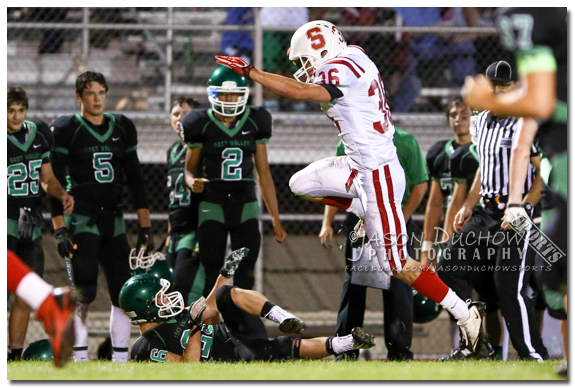 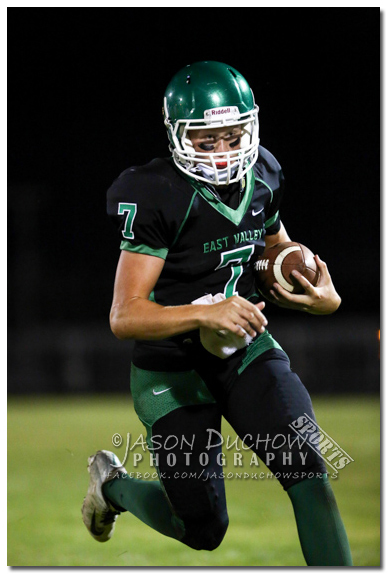 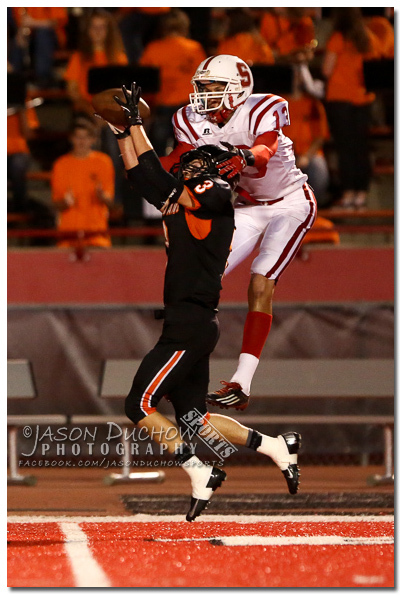 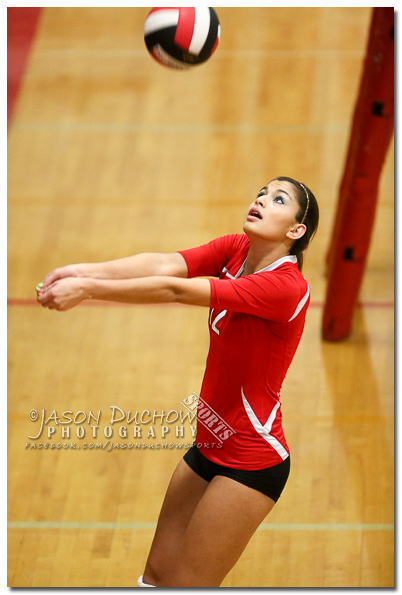 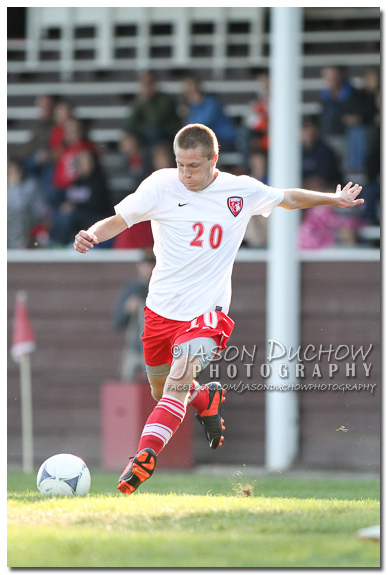 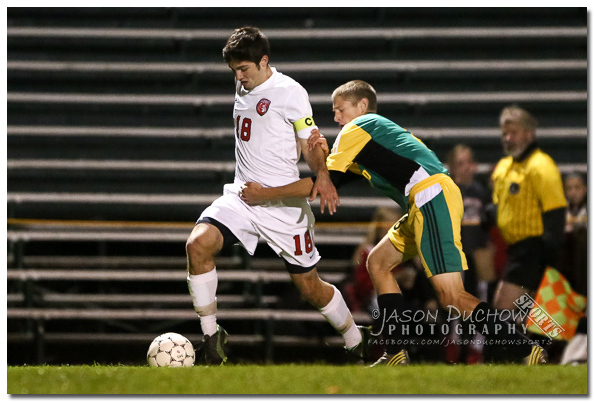 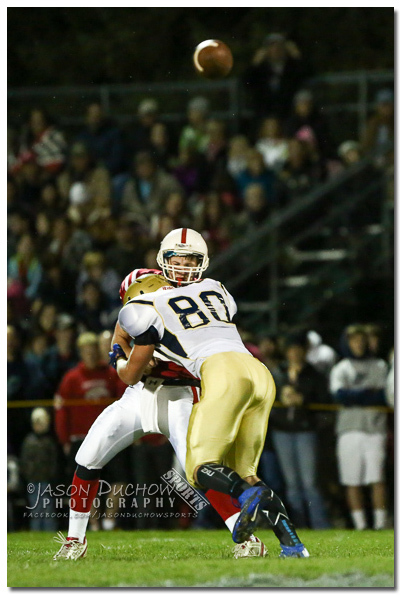 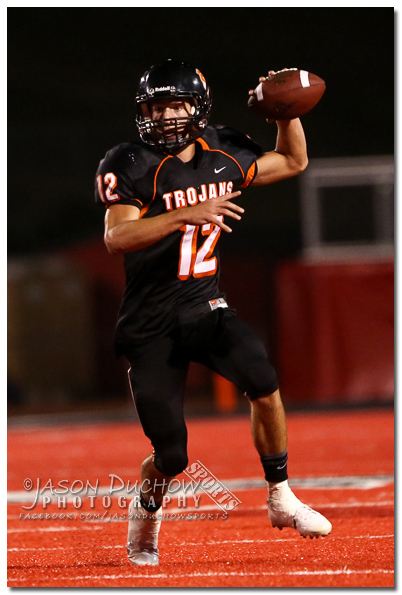 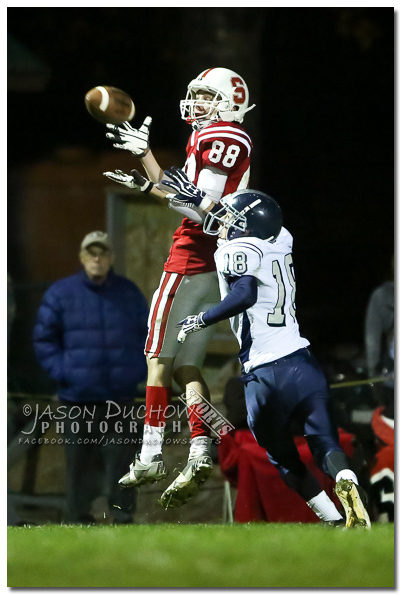 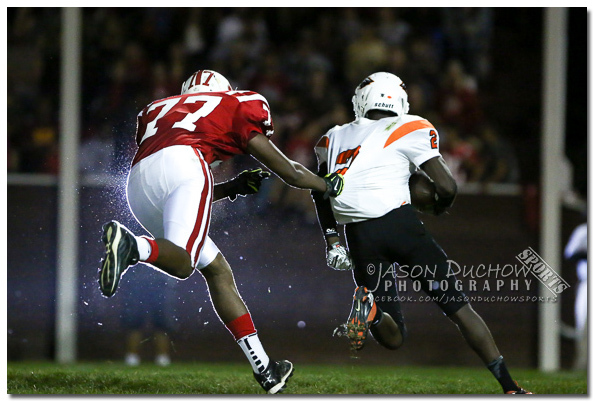 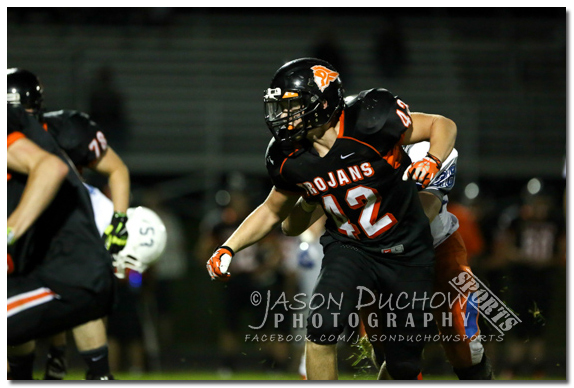 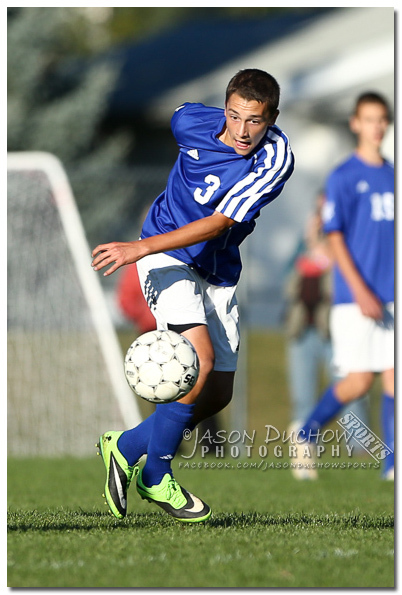 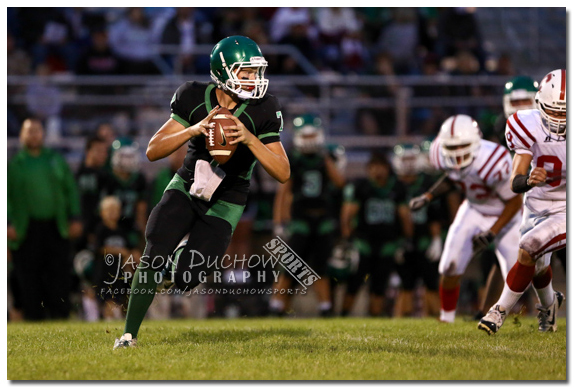 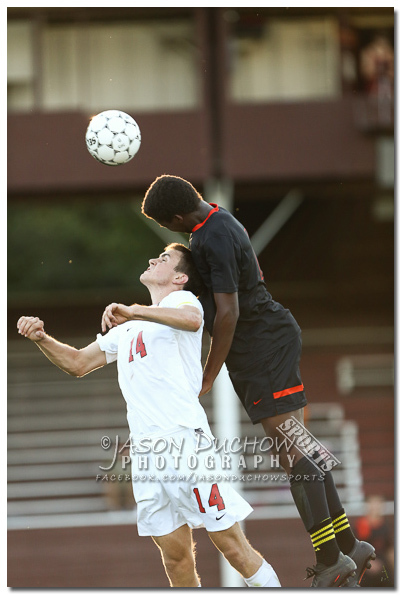 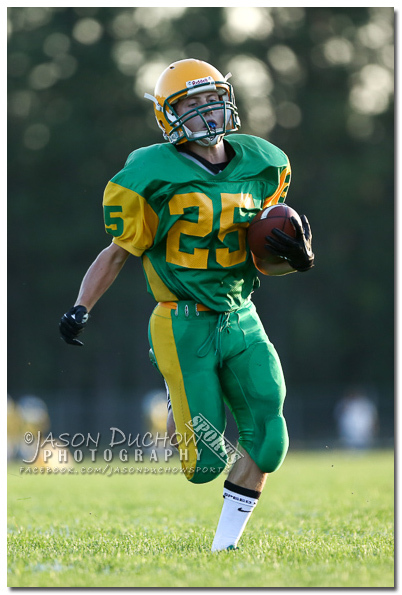 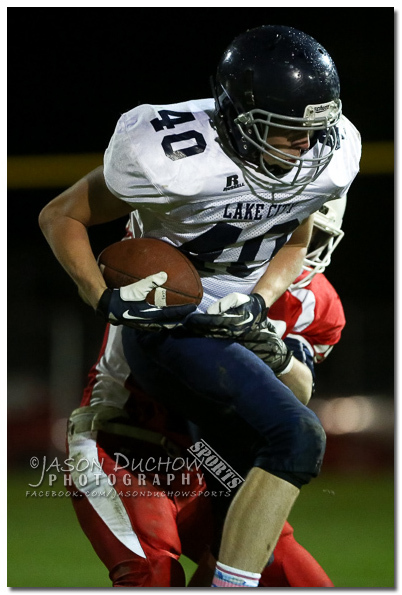 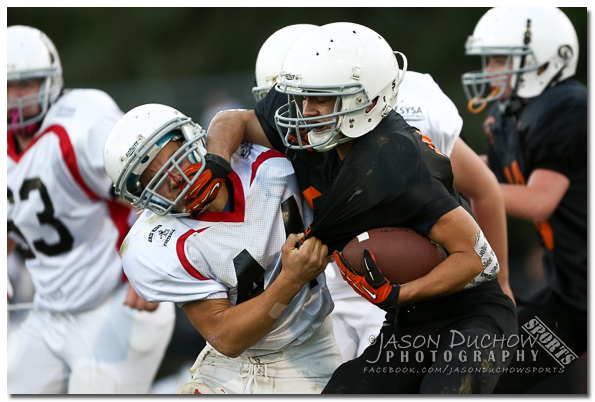 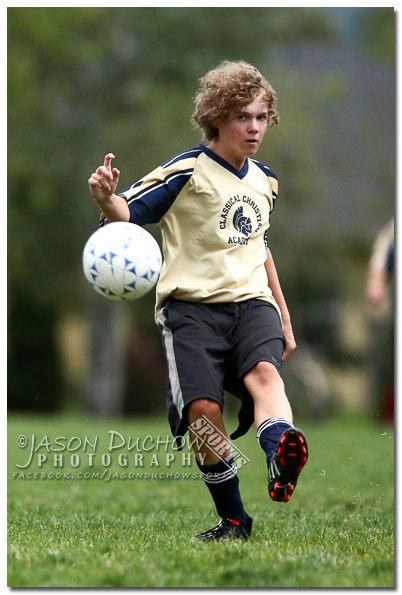 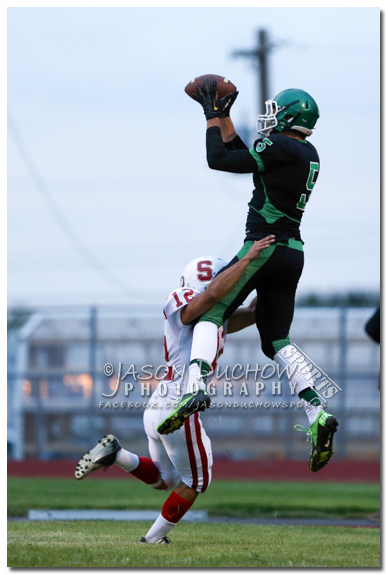 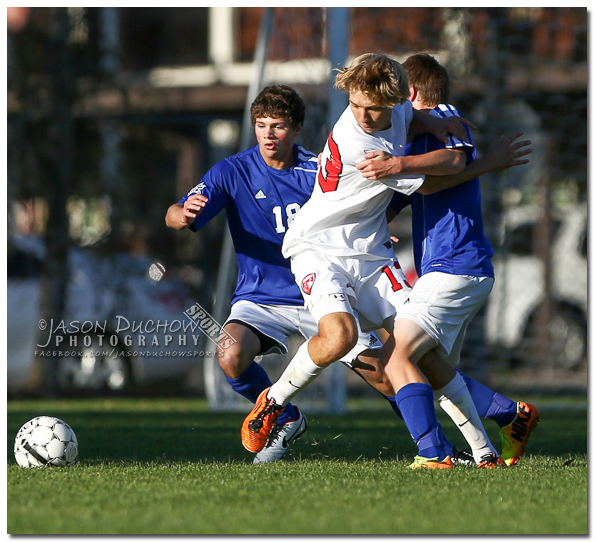 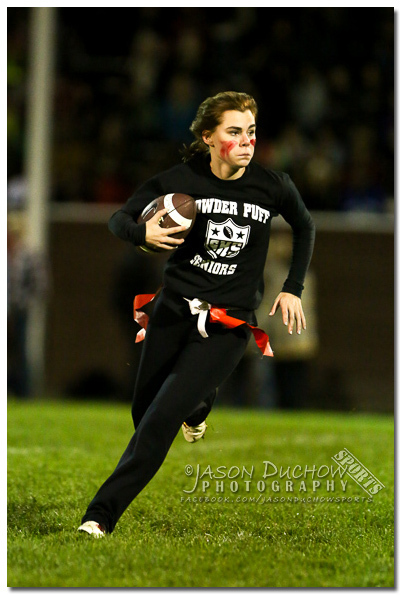 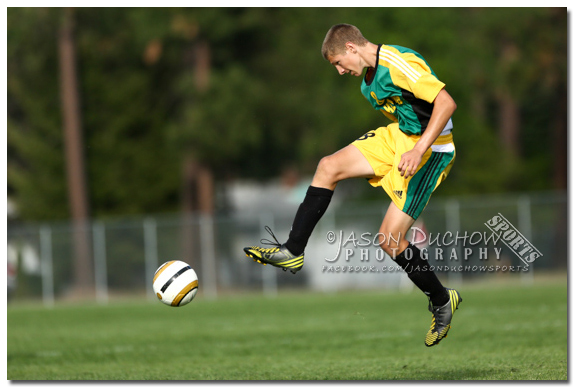 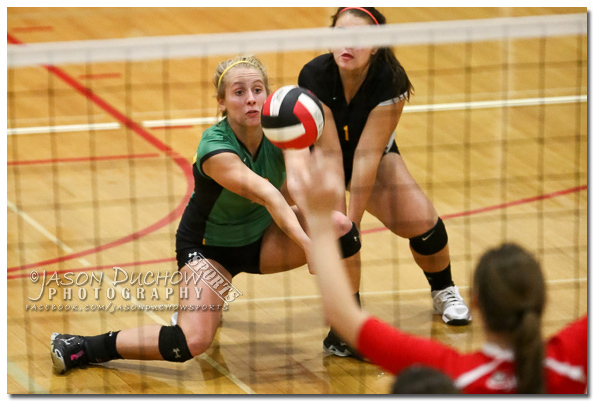 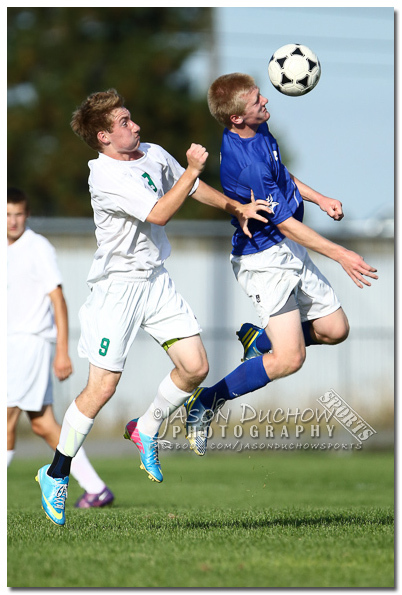 A recap of the sporting events covered by Jason Duchow Photography this past week. 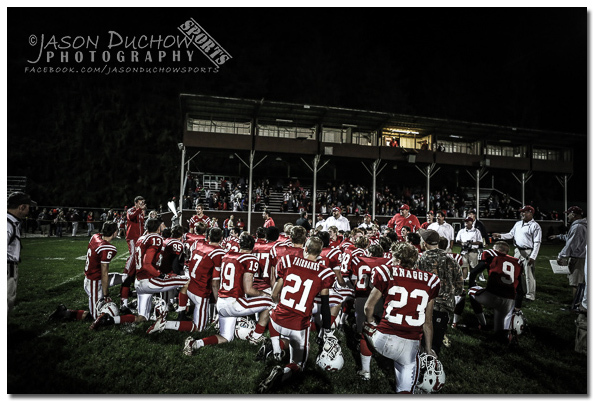 Click the header for each game for a link to view the full gallery and order prints. 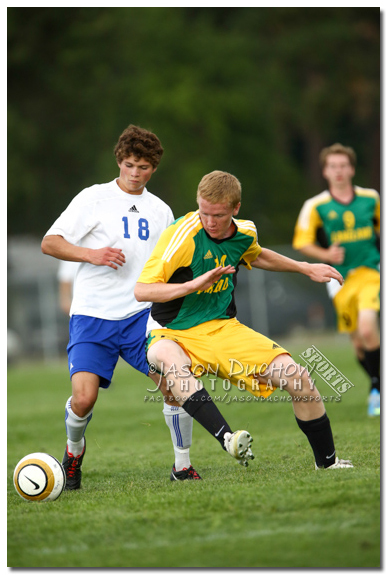 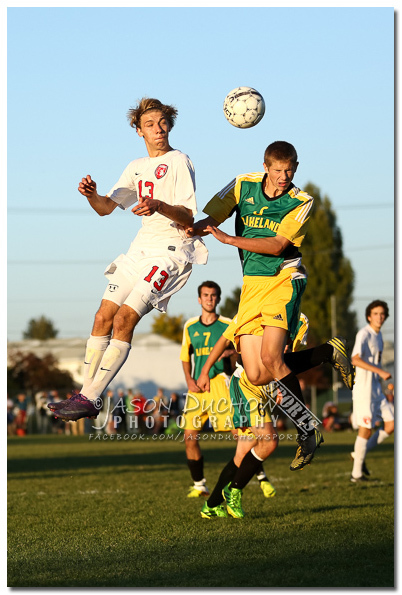 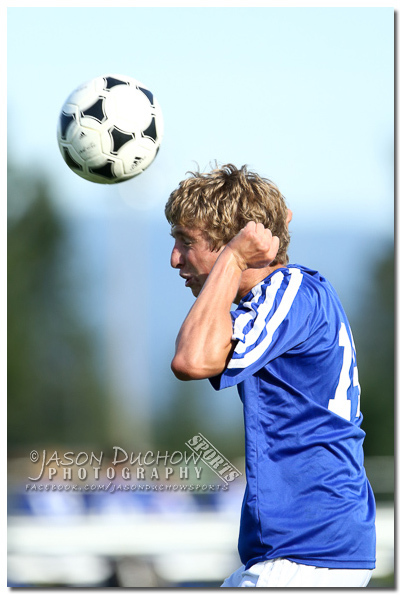 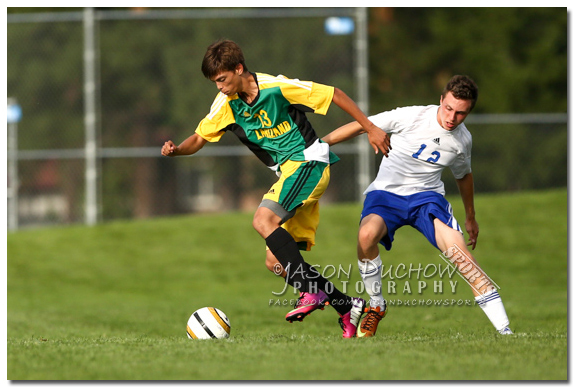 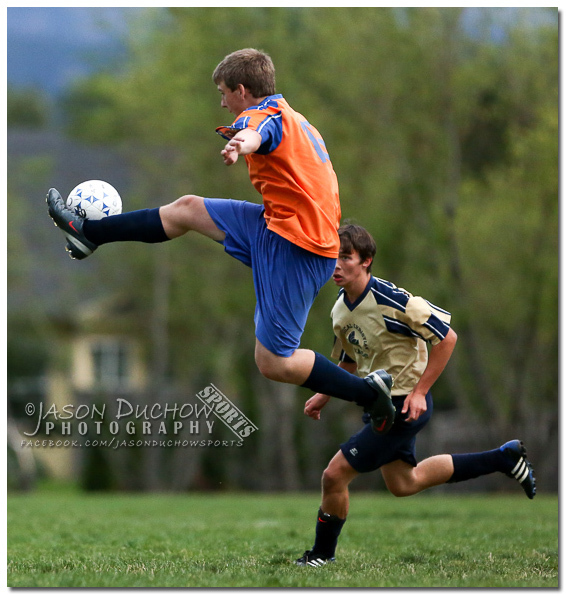 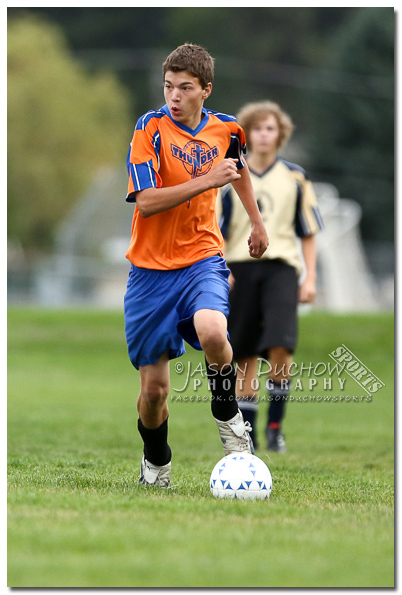 This last week I covered my first soccer game of the 2013 fall sports season when the Lakeland boys visited Coeur d’Alene High School and then finished up the week with three football games on Thursday and Friday. 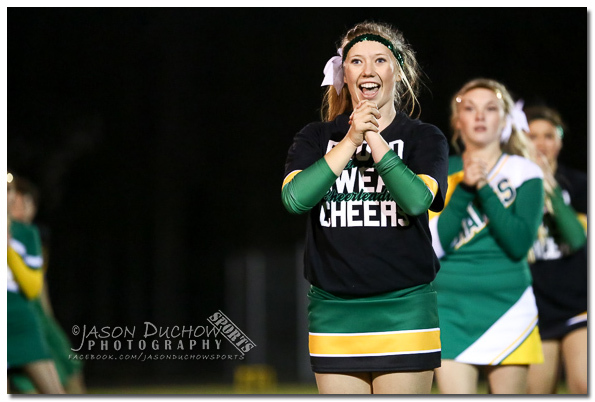 Thursday Graham Kapowsin High School from Western Washington visited Post Falls high school and the JV game and the first half of the varsity game was played during daylight hours which is so much fun for me! 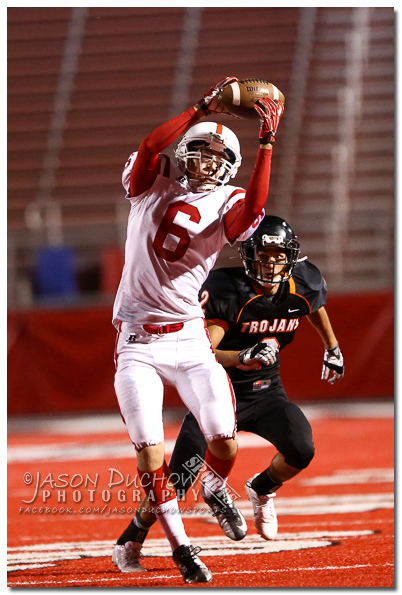 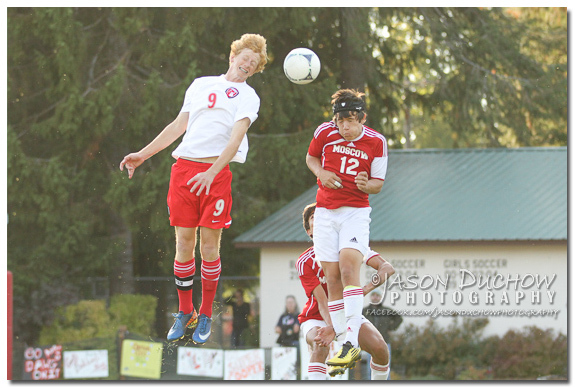 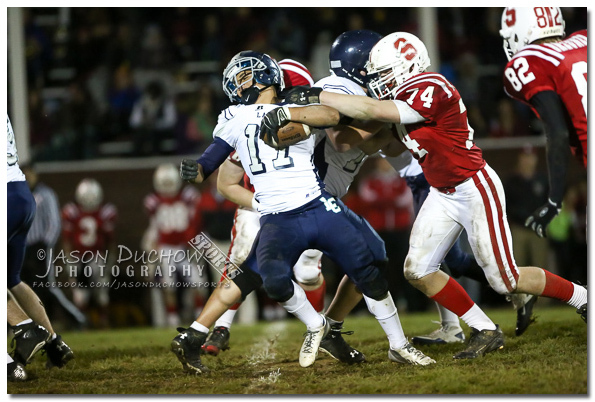 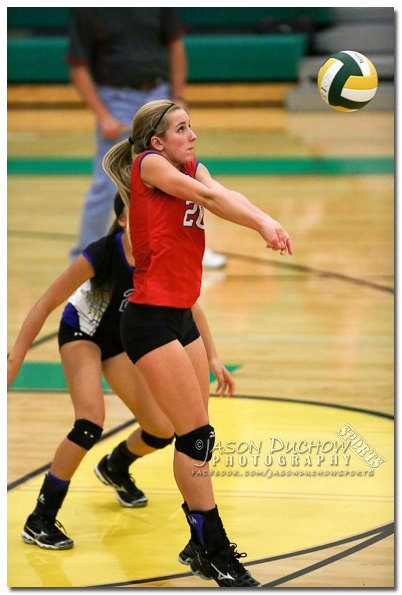 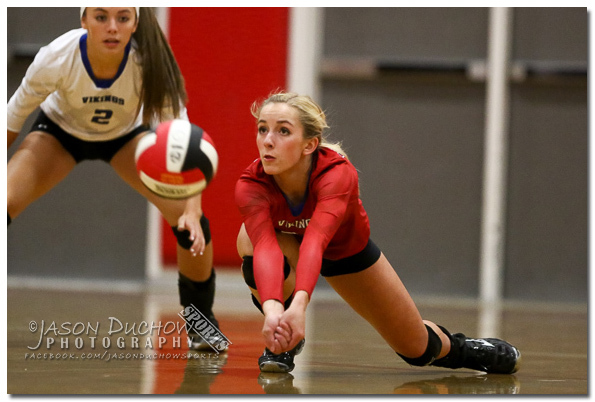 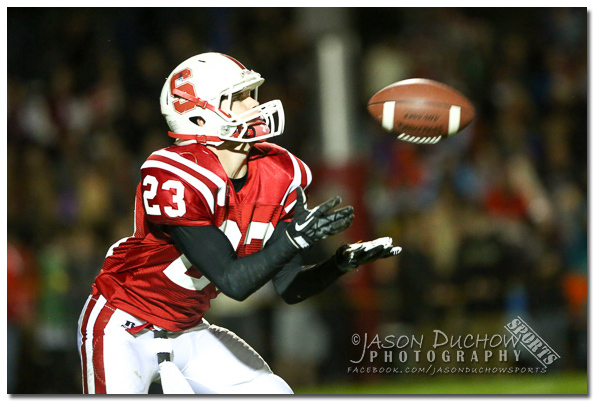 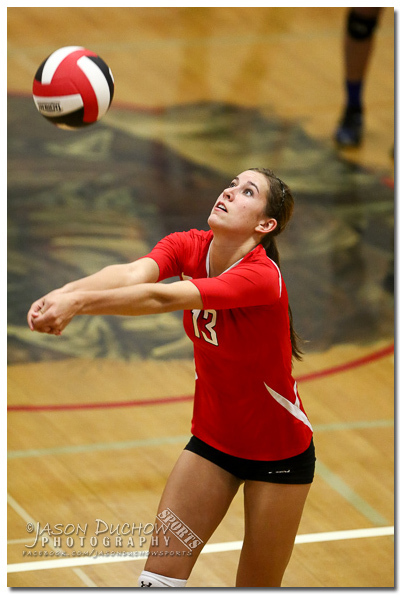 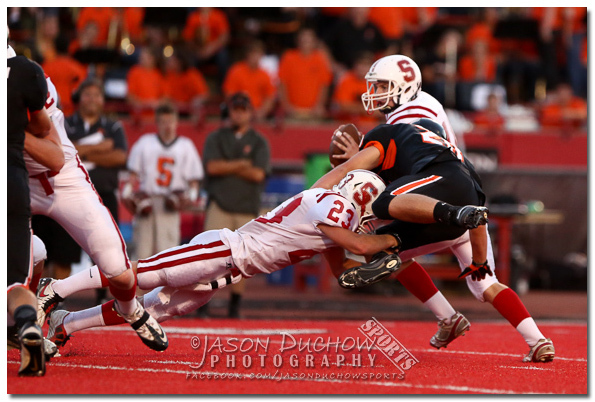 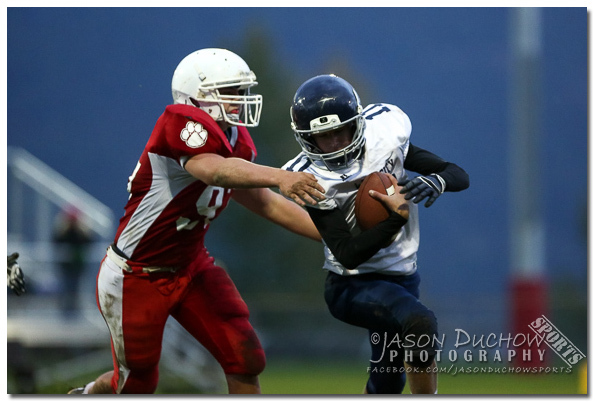 Then Friday Sandpoint traveled to Spokane Valley to take on East Valley. 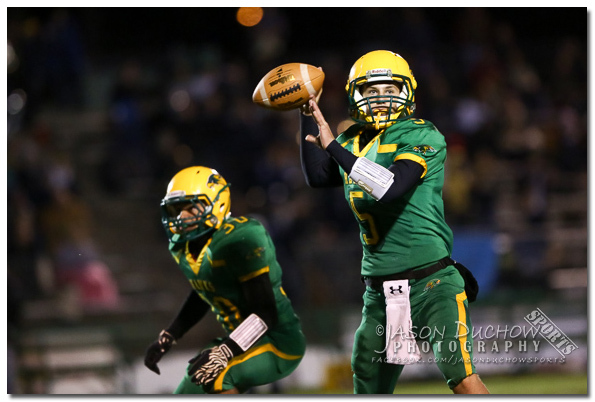 Below you will find a handful of photos from each game, for full galleries and to order prints click on the appropriate links. 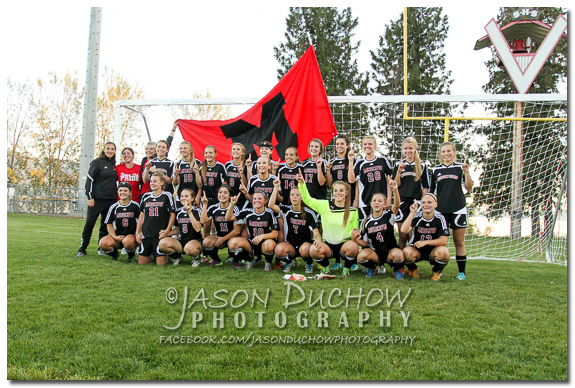 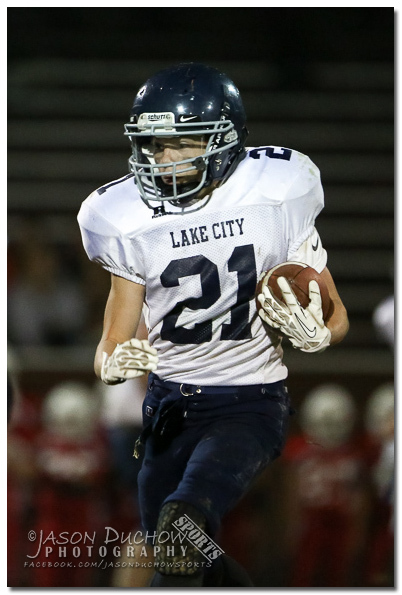 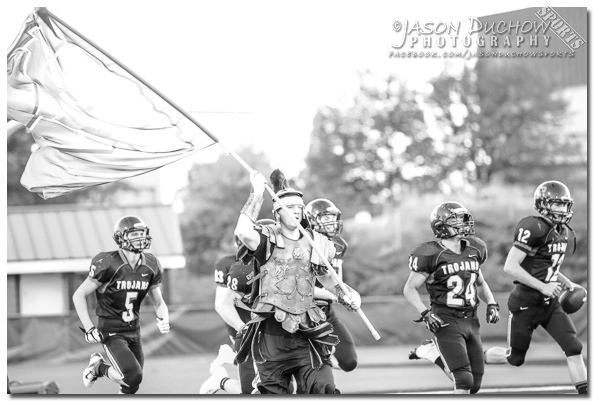 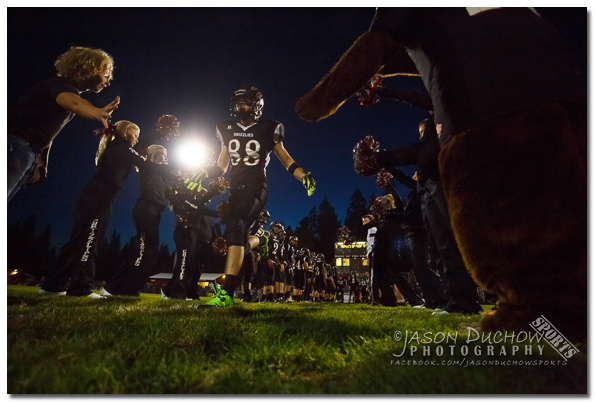 After defeating Lakeland in the first round Moscow made the trip to take on first seed Sandpoint at War Memorial Field where they accomplished the rare feat of keeping keeping the bulldogs out of the state tournament. 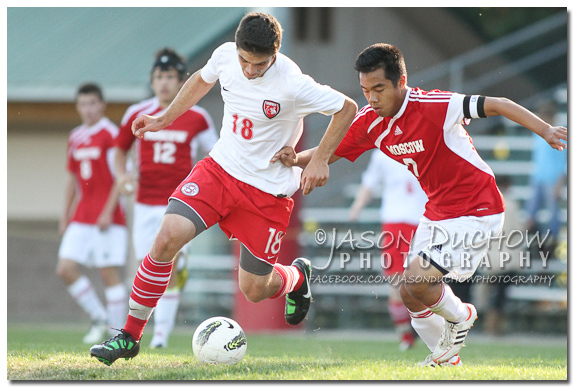 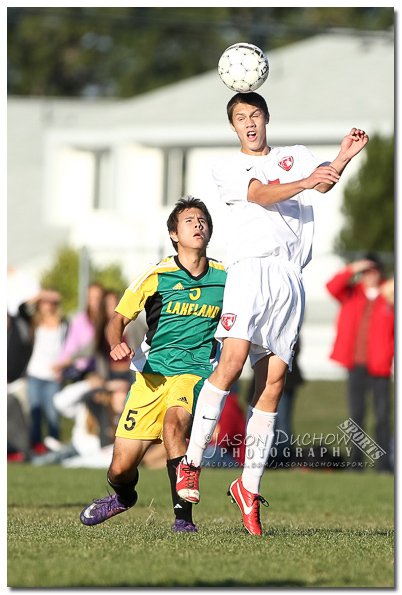 The first round of the Inland Empire League boys soccer playoffs featured the Moscow Bears visiting the Sandpoint Bulldogs. 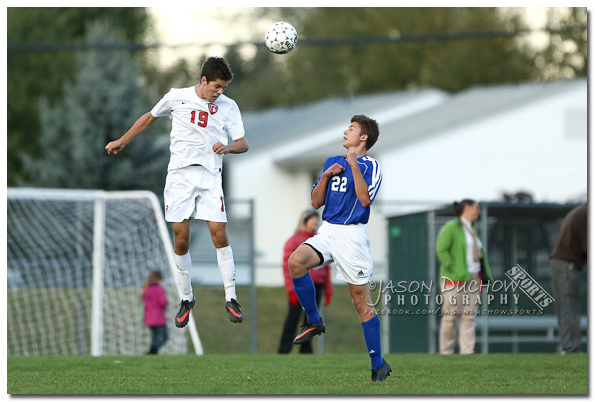 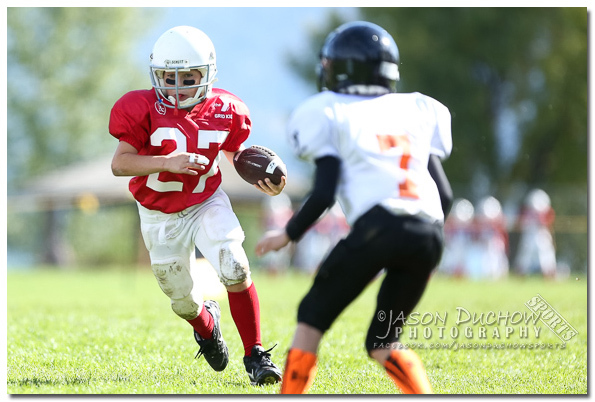 Sandpoint was victorious in this first round and moves on to the championship game against Lakeland. 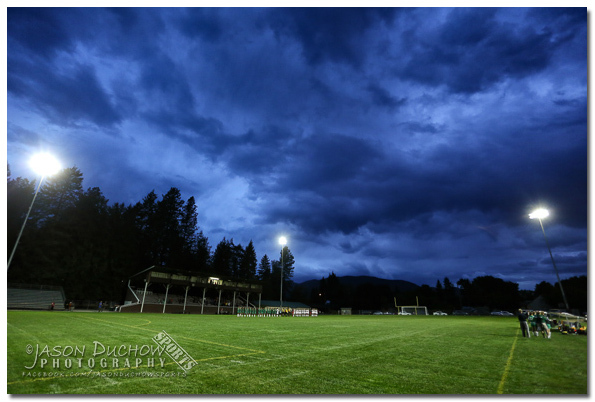 More photos can be viewed and prints can be ordered from my website at the following links. 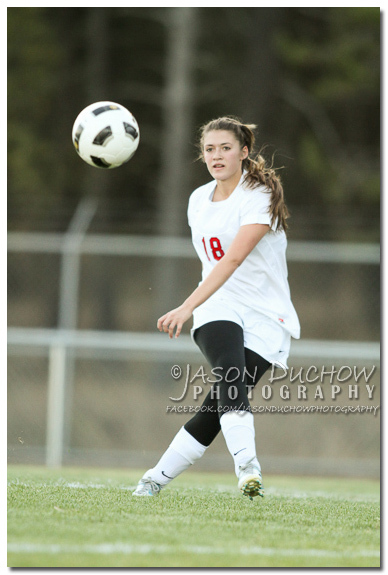 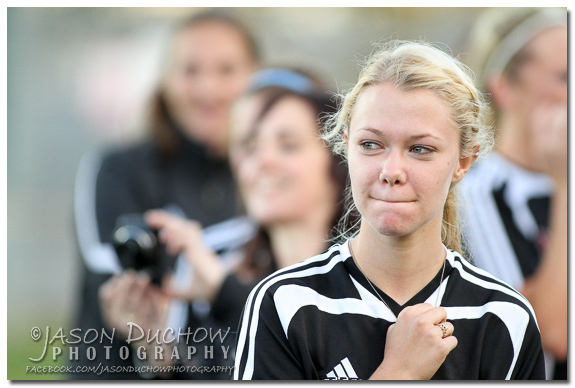 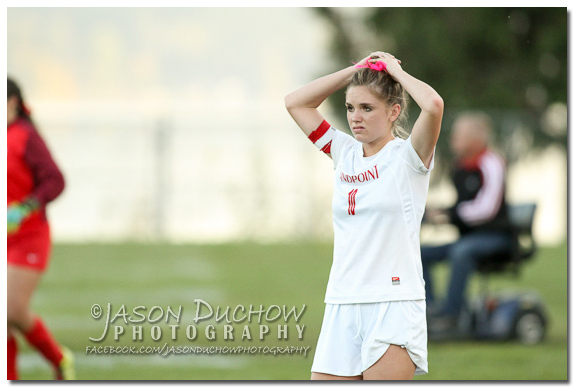 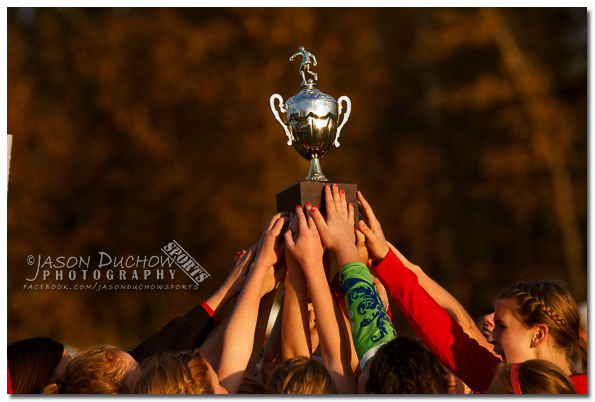 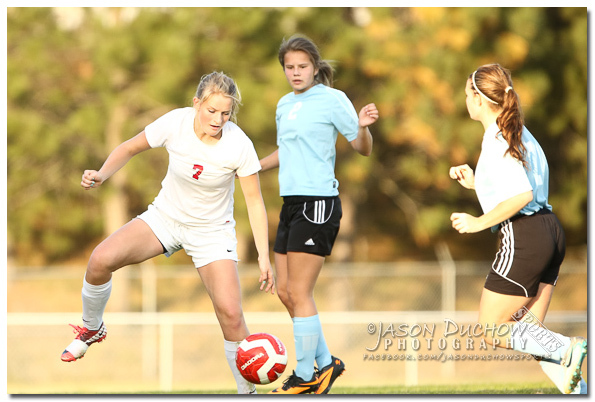 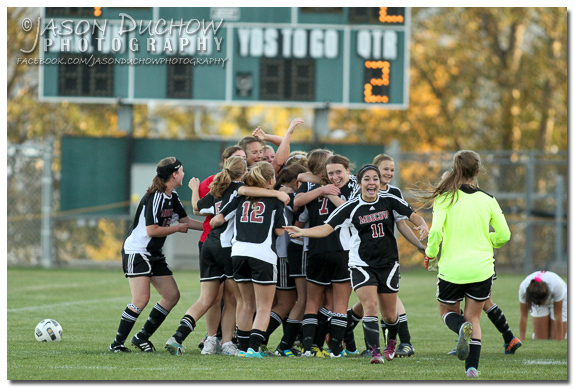 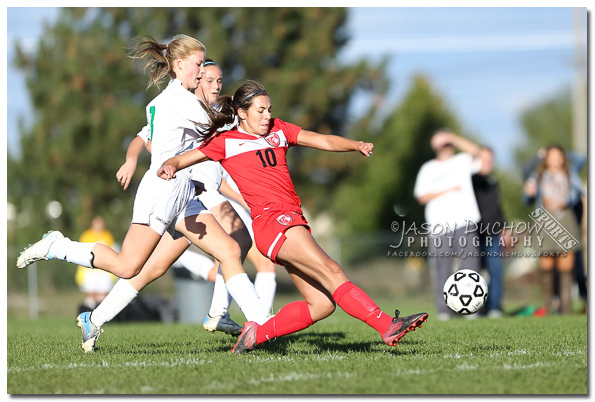 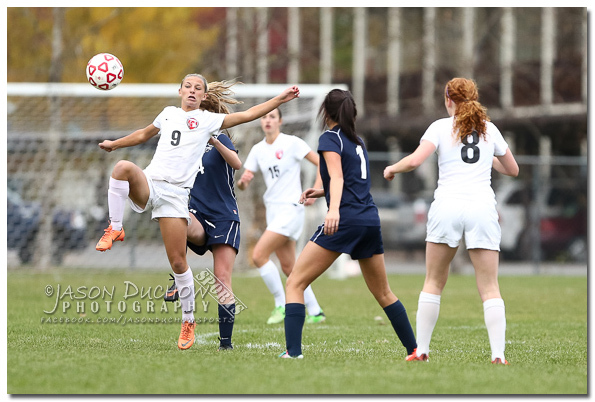 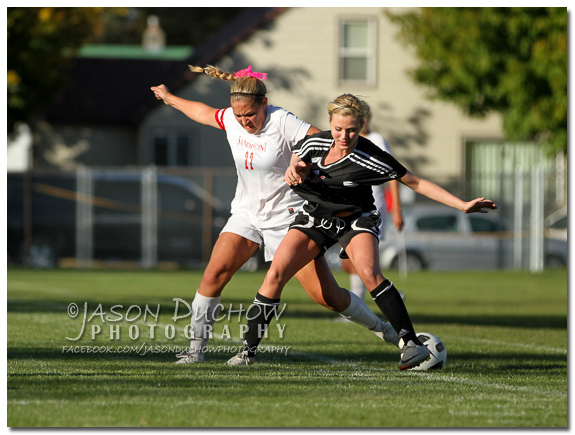 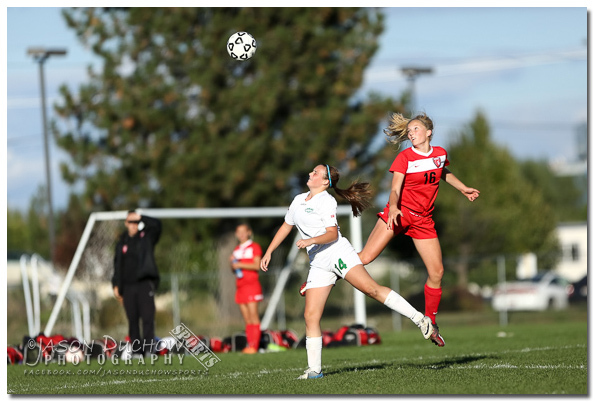 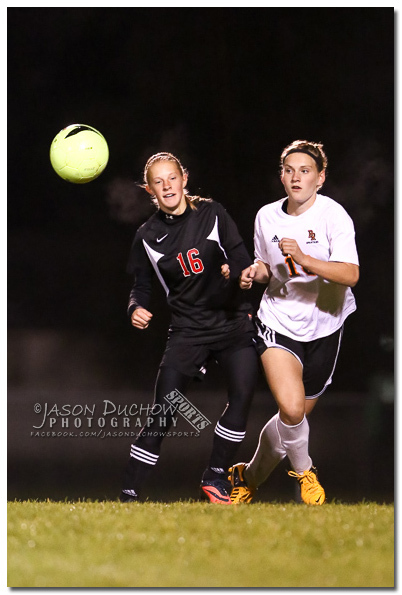 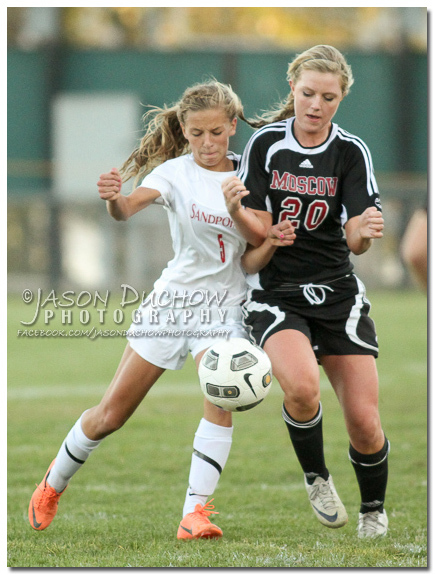 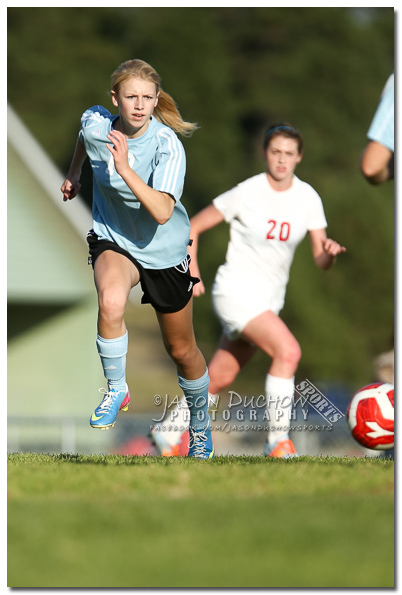 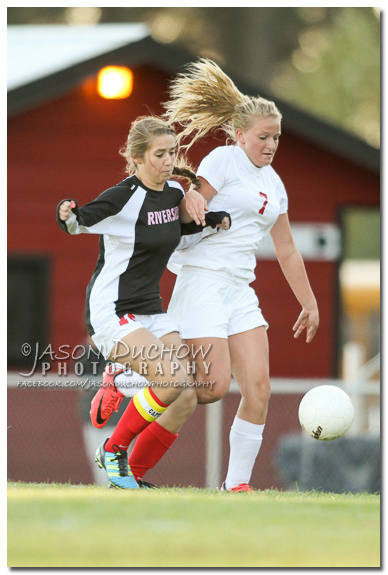 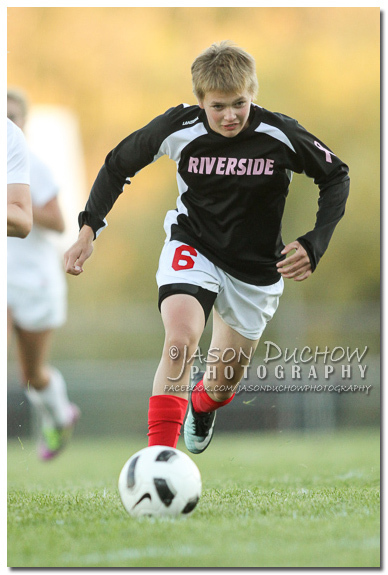 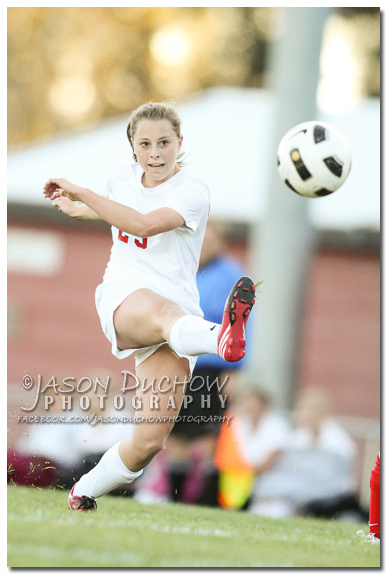 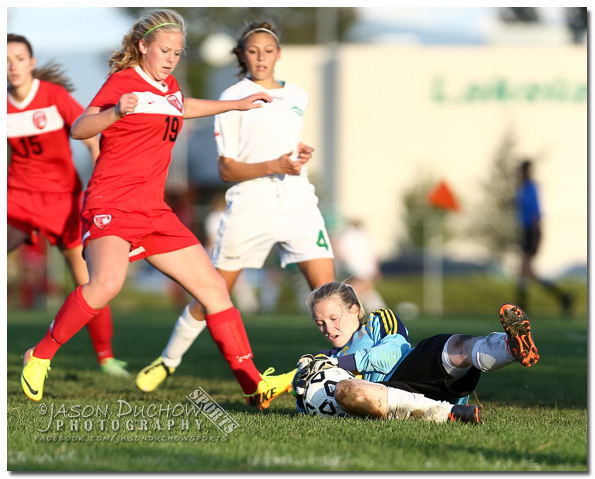 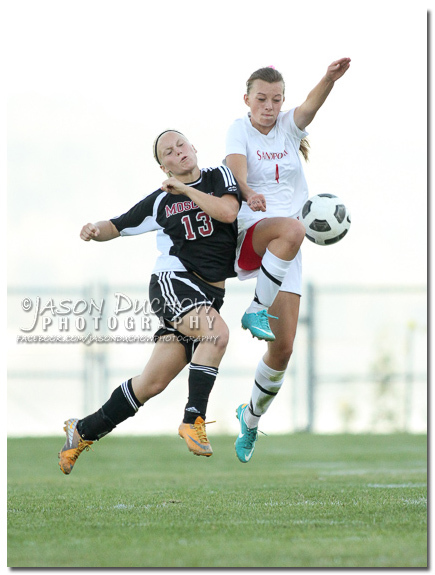 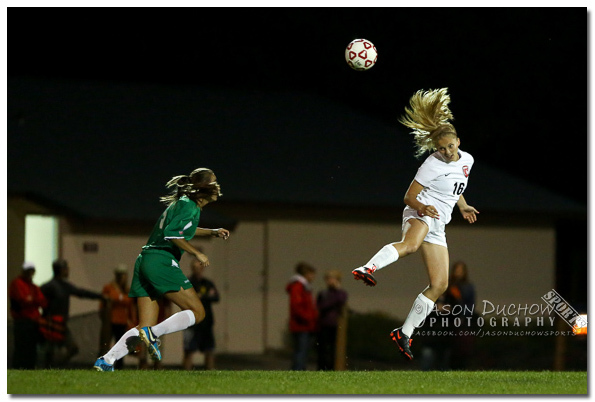 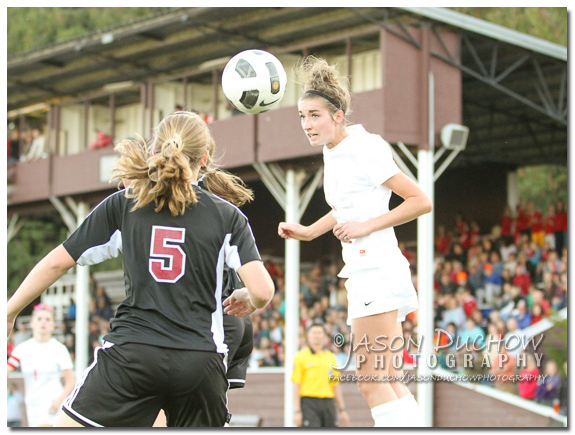 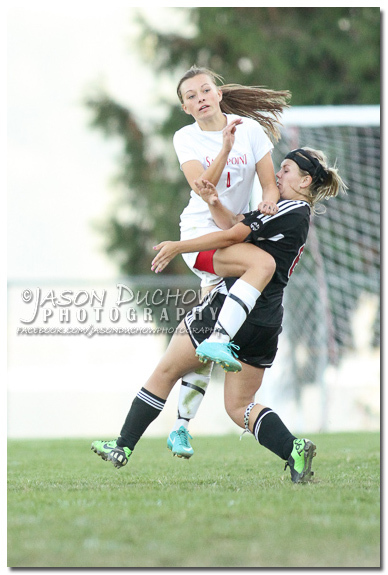 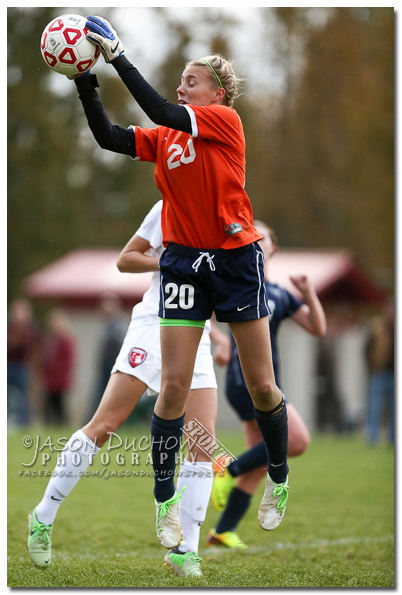 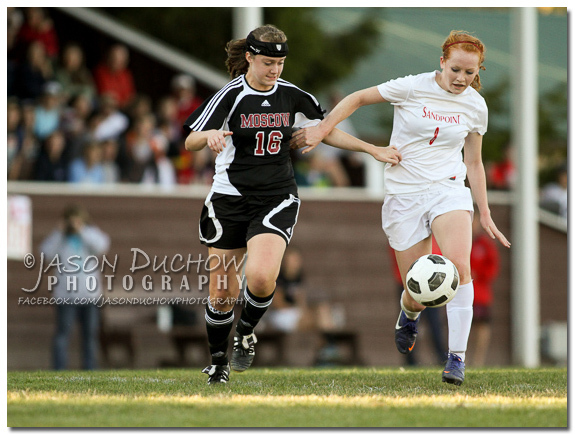 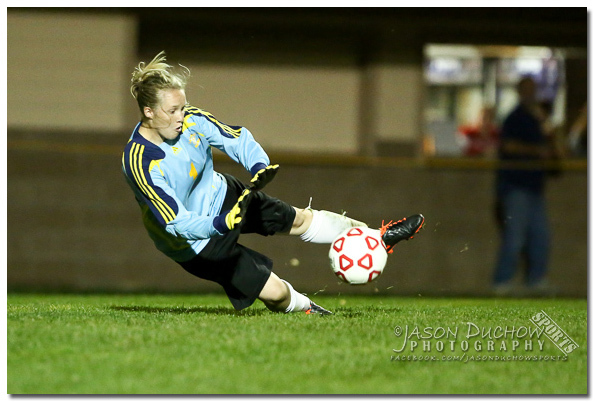 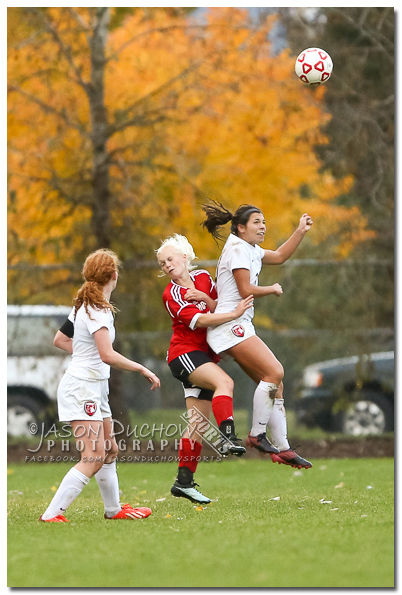 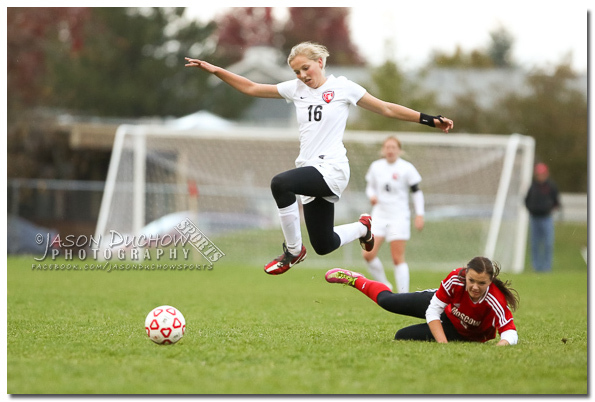 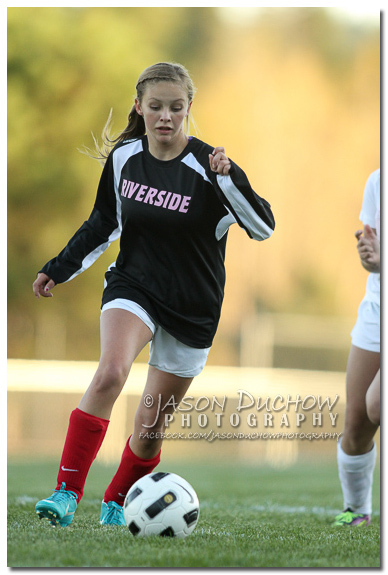 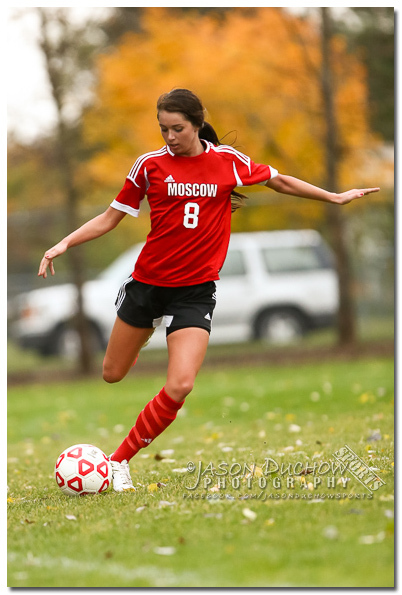 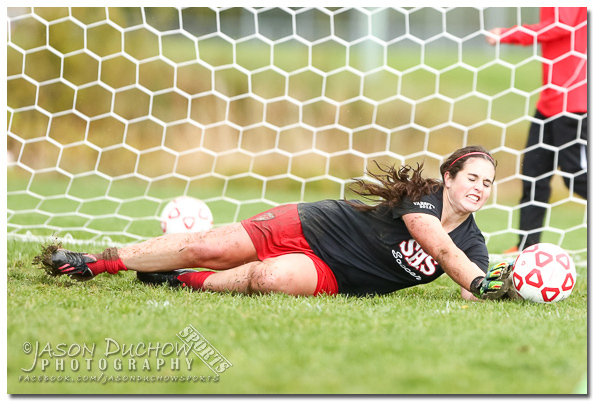 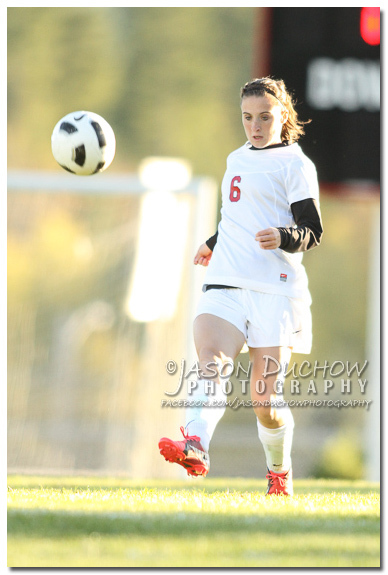 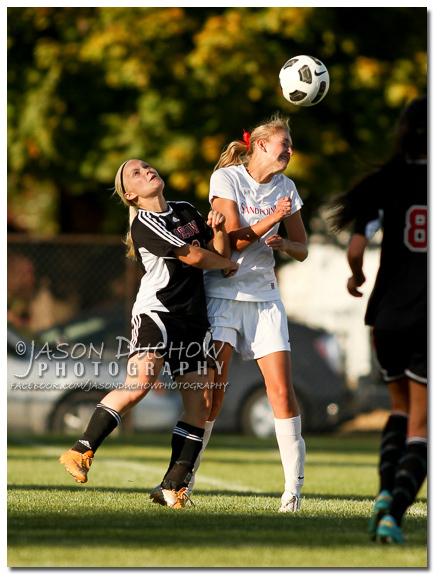 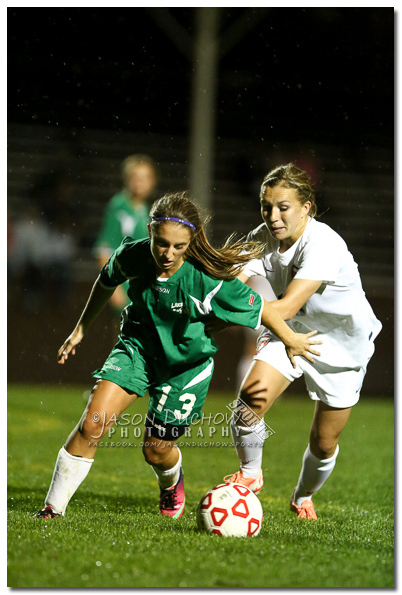 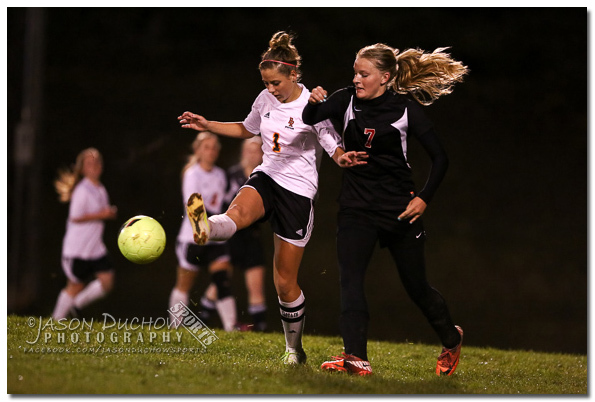 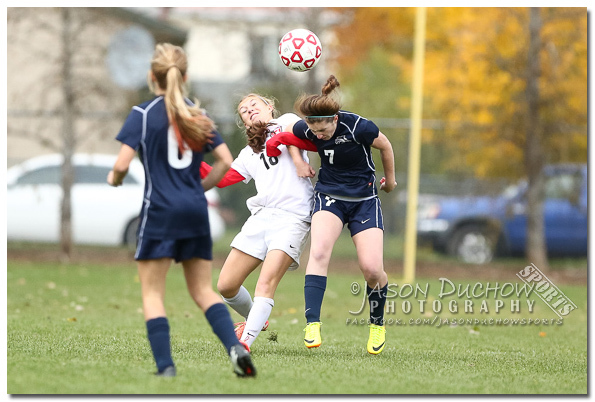 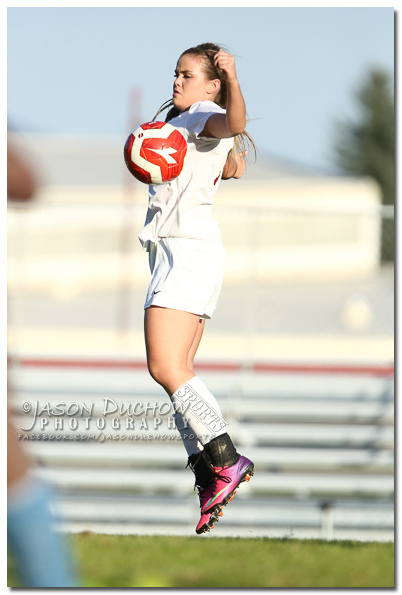 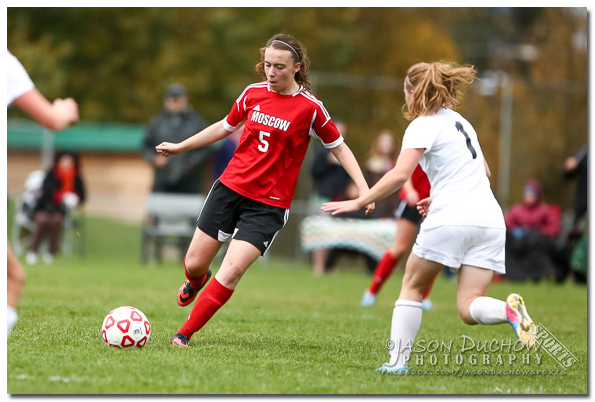 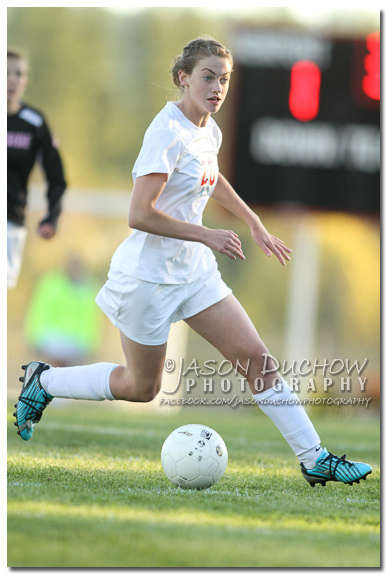 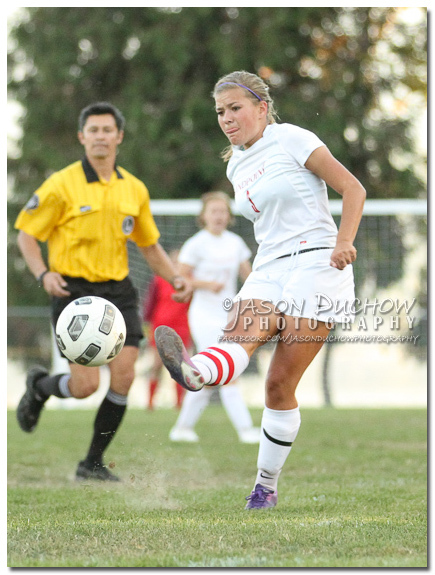 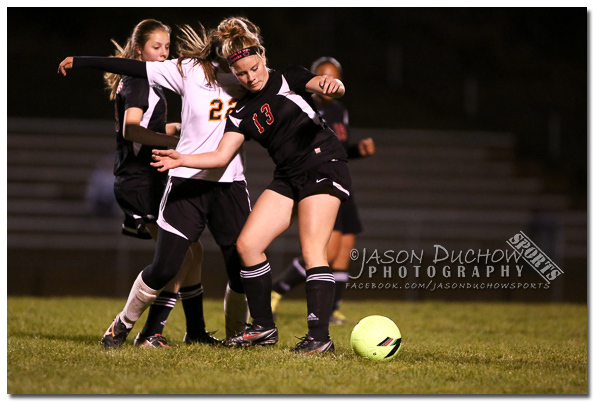 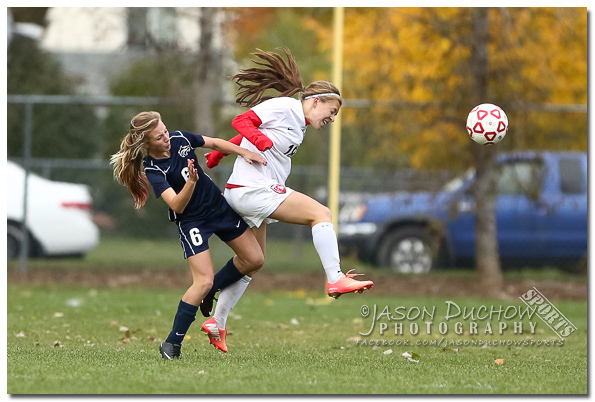 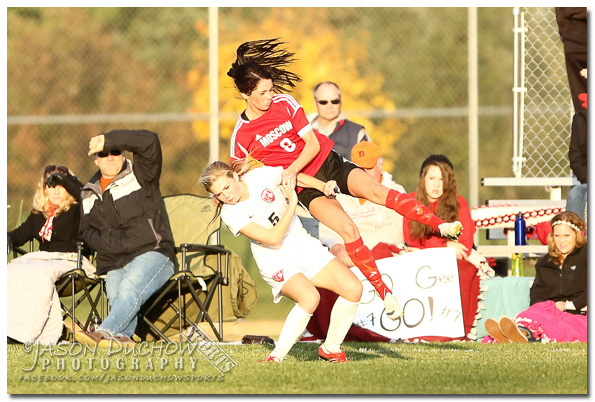 Here are a few shots from the Riverside vs Newport Girls soccer game on October 4th. 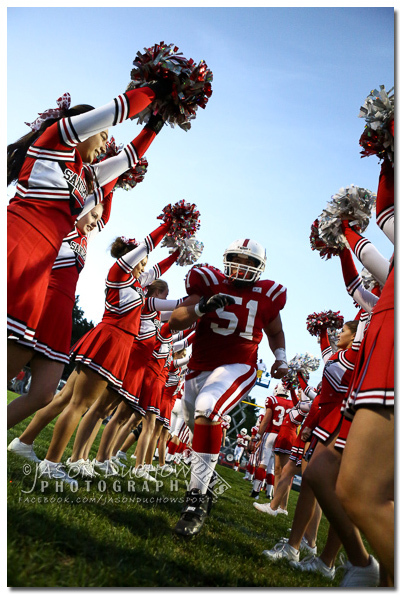 For more photos from this game and to order prints visit one of the following links to my website.